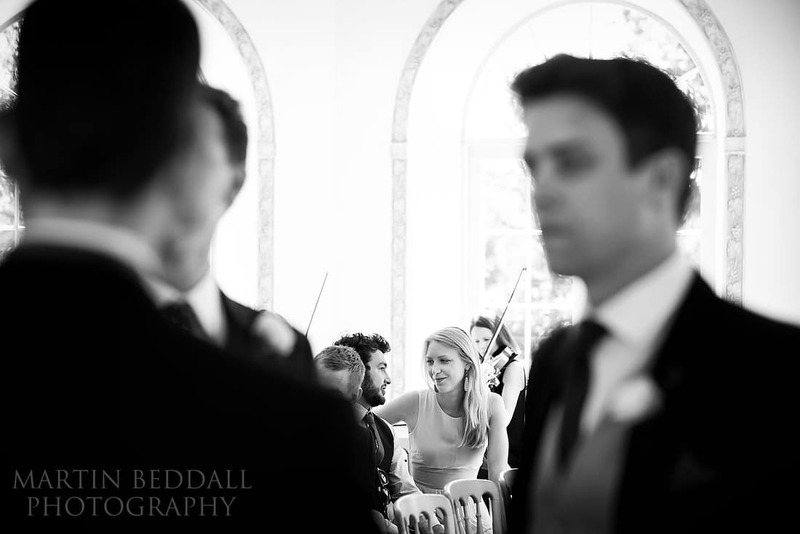 Northbrook Park has a soundtrack. 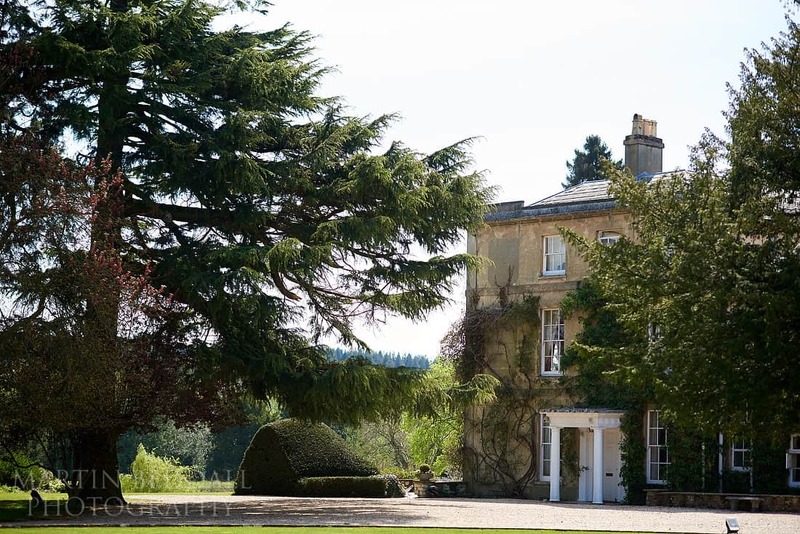 Not just the slight hum of traffic on the nearby A31, whizzing between Farnham and Winchester. 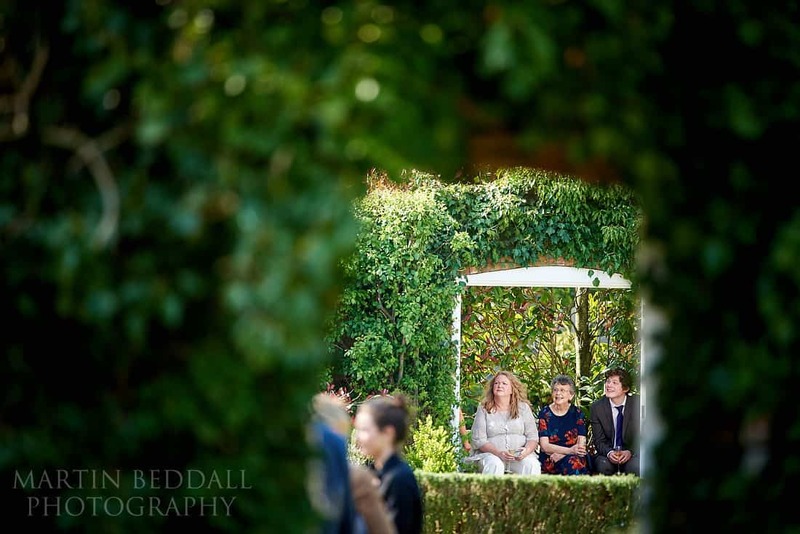 Not the occasional South West train, flashing by the front hedges. 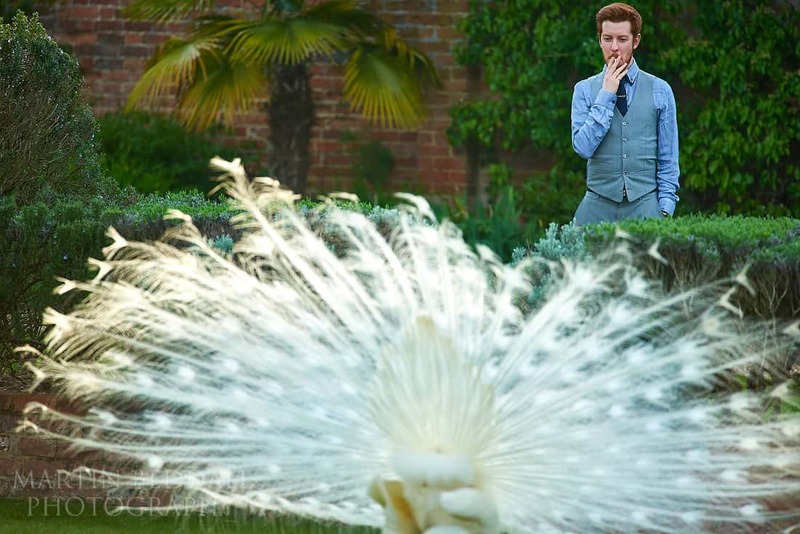 No, the overriding soundtrack are the peacocks. 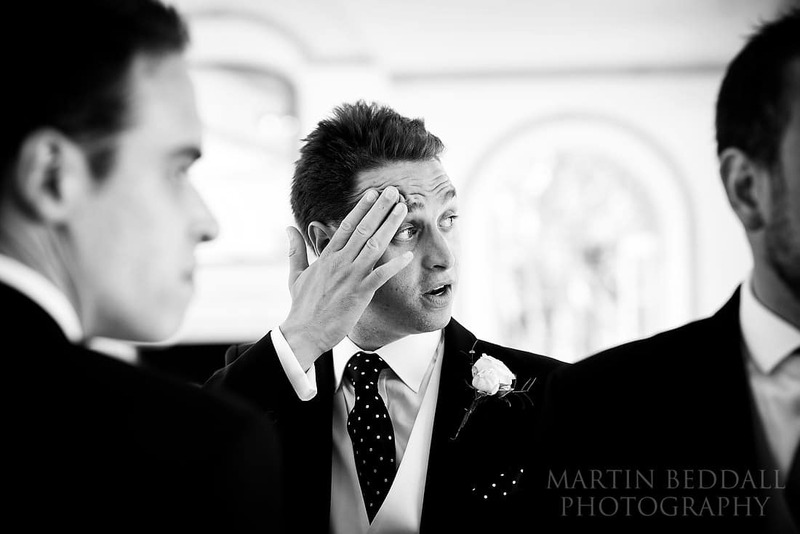 “Look at me! 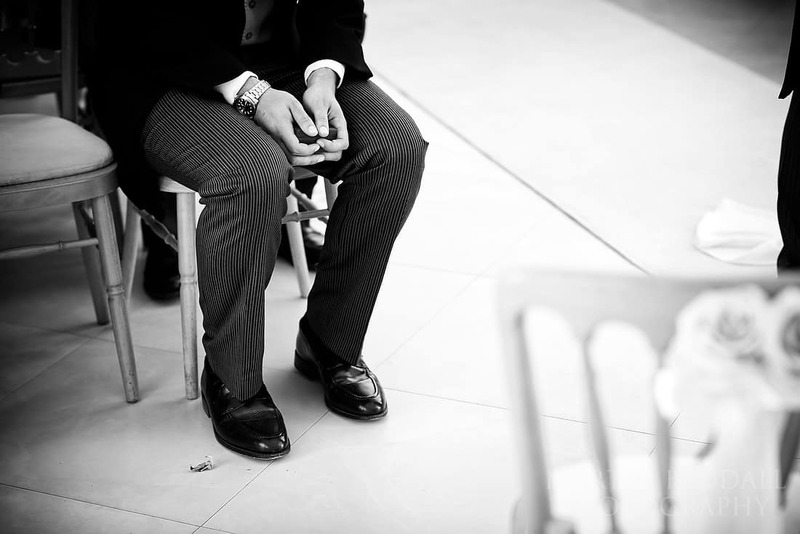 Look at me!” they seem to call – over and over again. 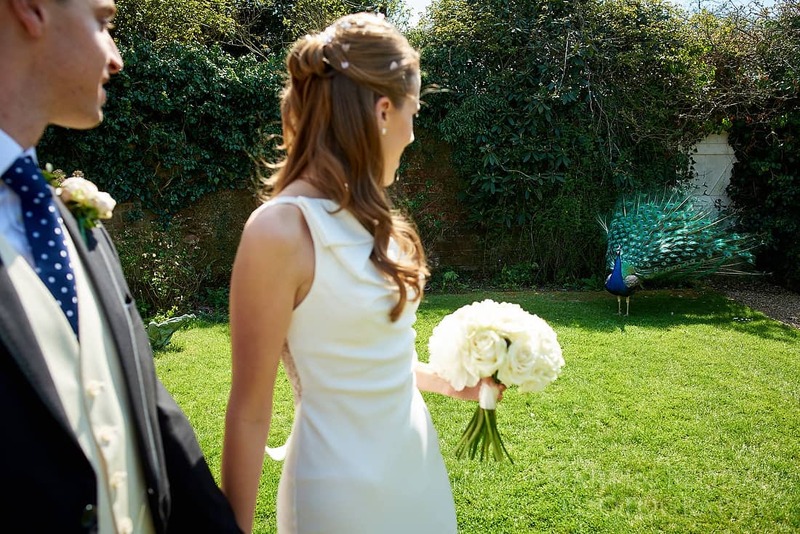 It’s a toss up whether wedding guests leave with more pictures on their iphones of the peacocks, showing off on the lawn or atop a wall, than of the bride and groom! 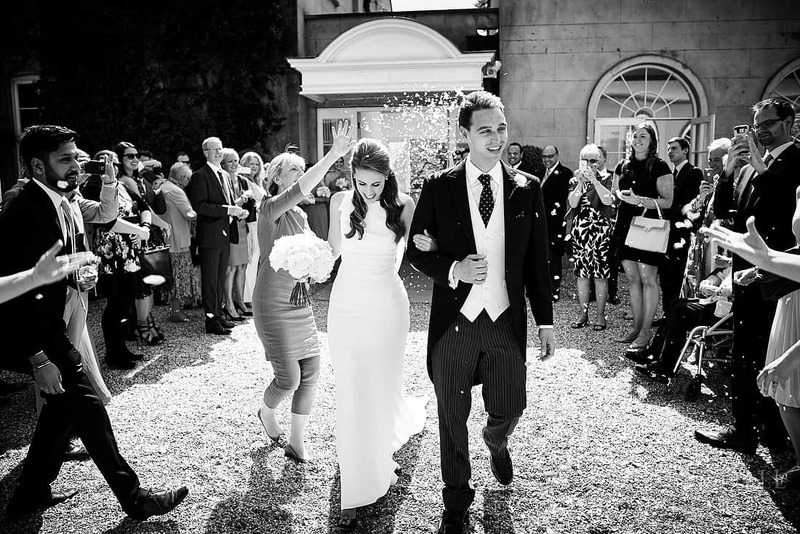 Lauren and James were not to be outshone though, on a hot Sunday in Spring. 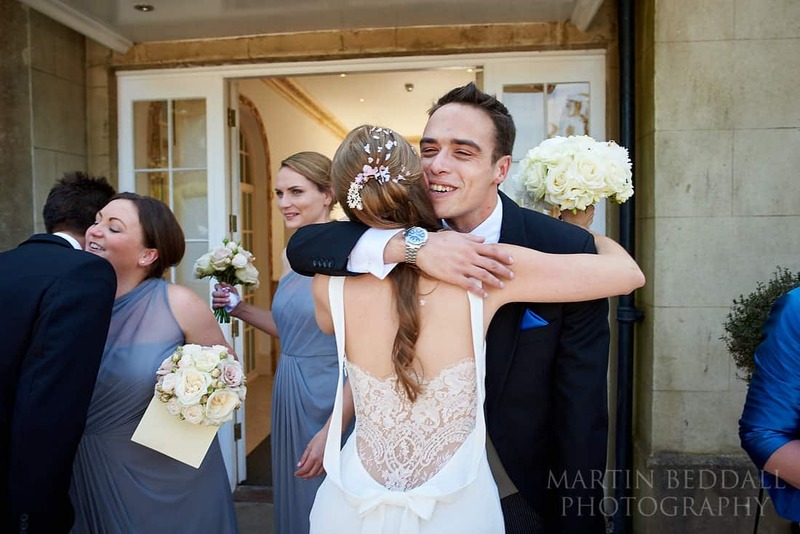 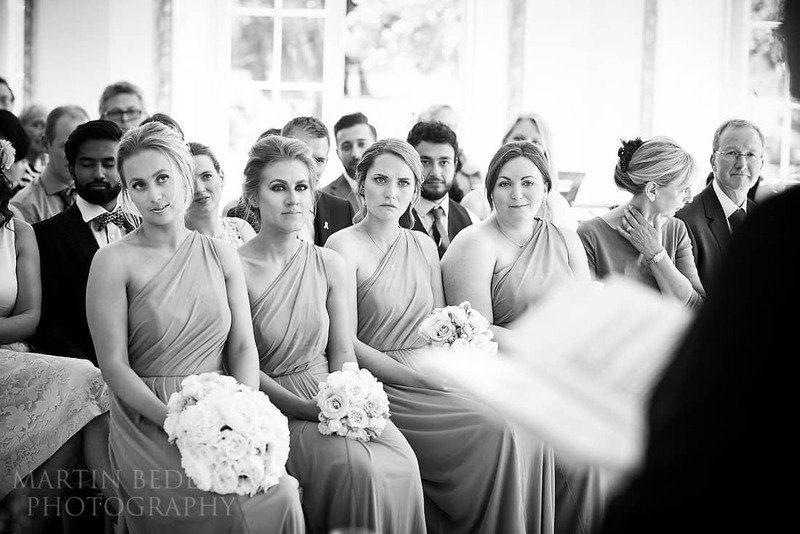 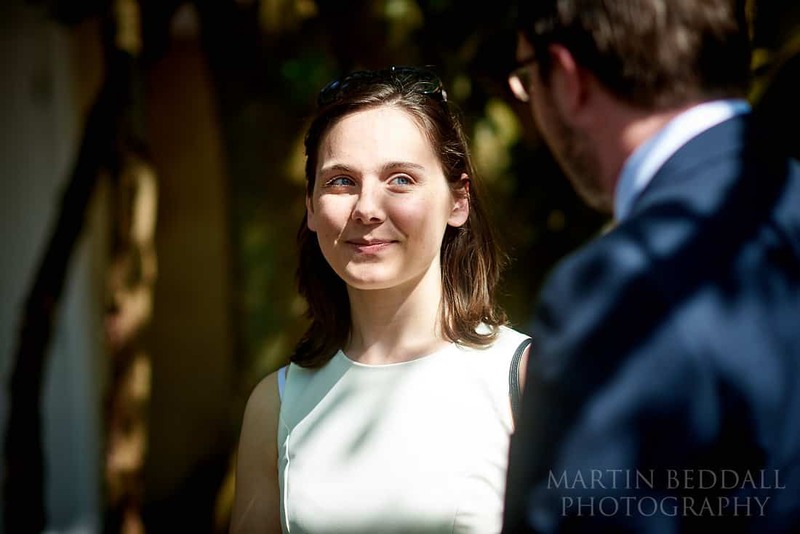 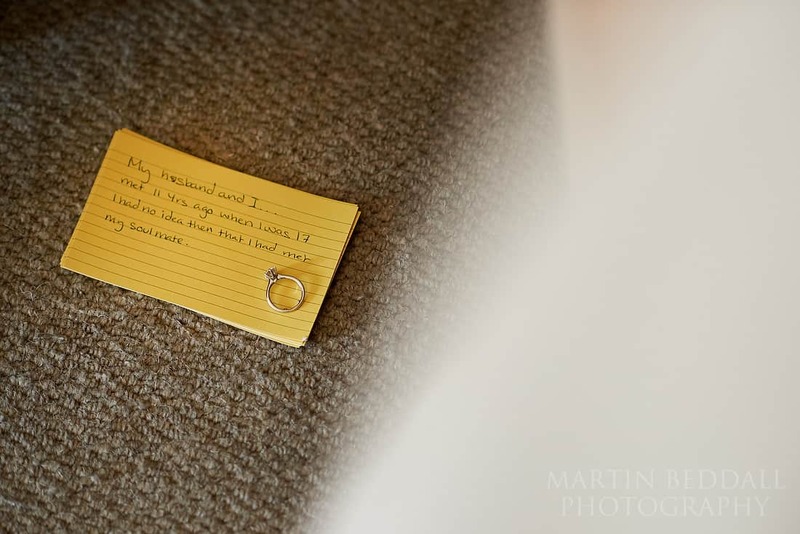 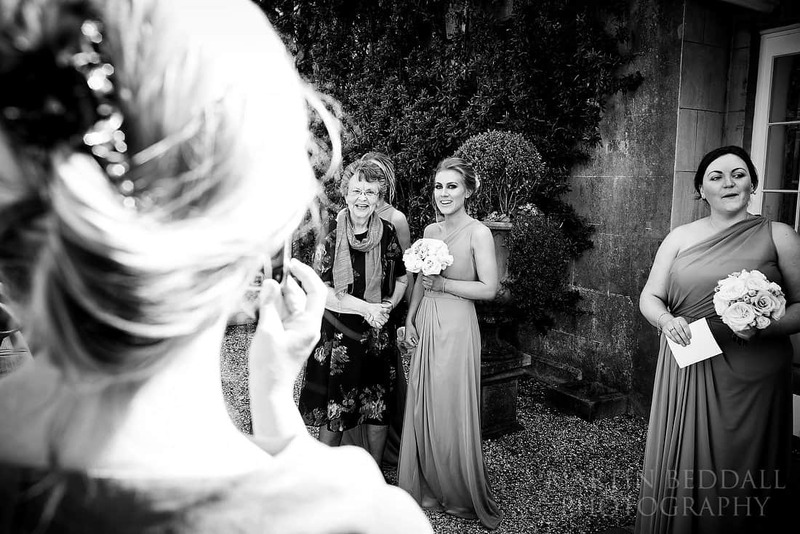 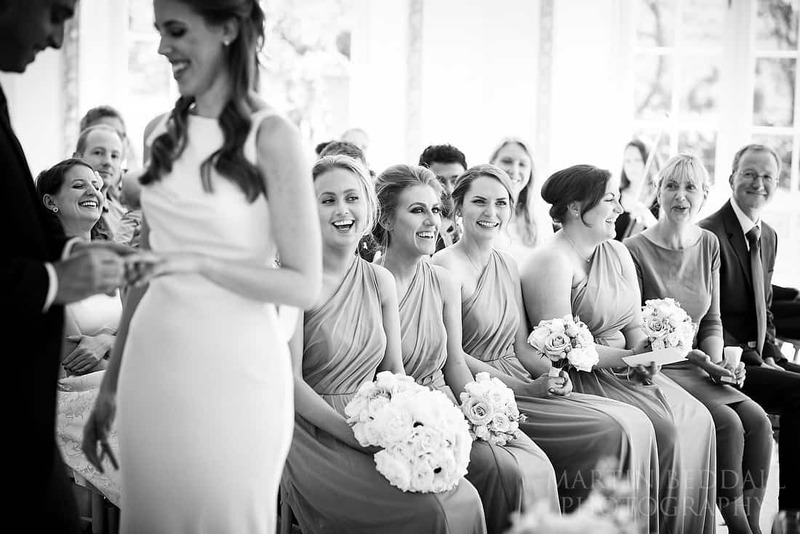 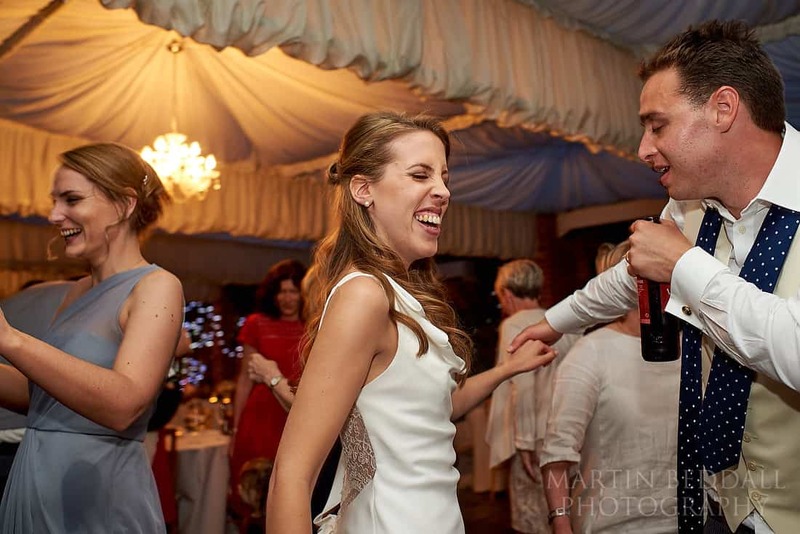 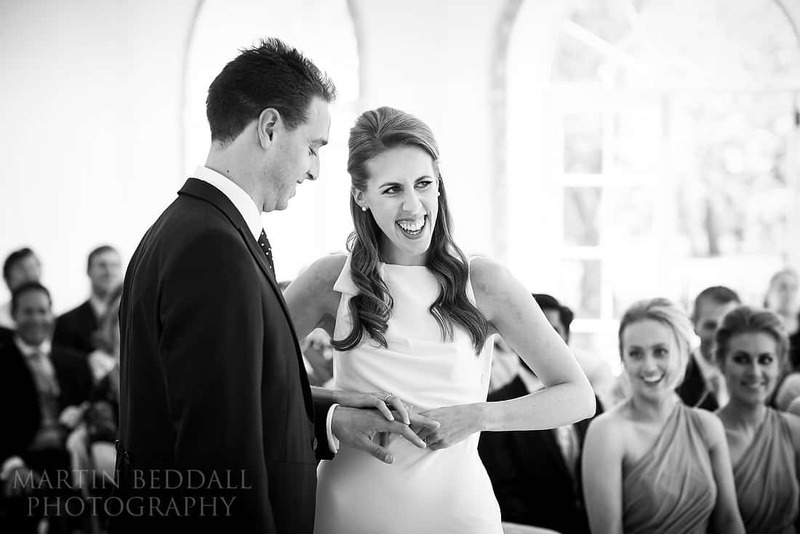 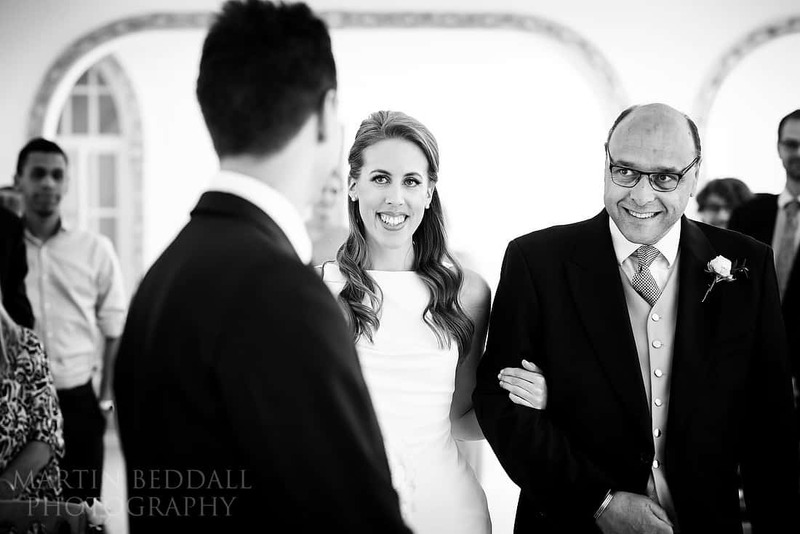 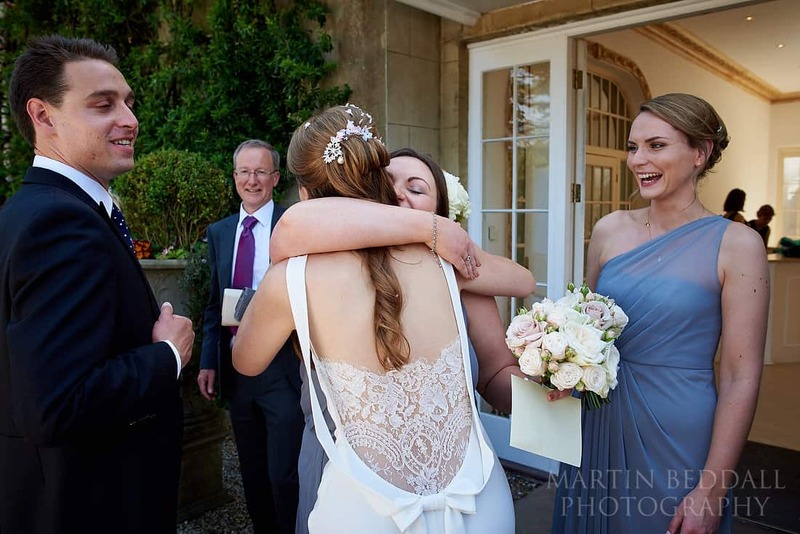 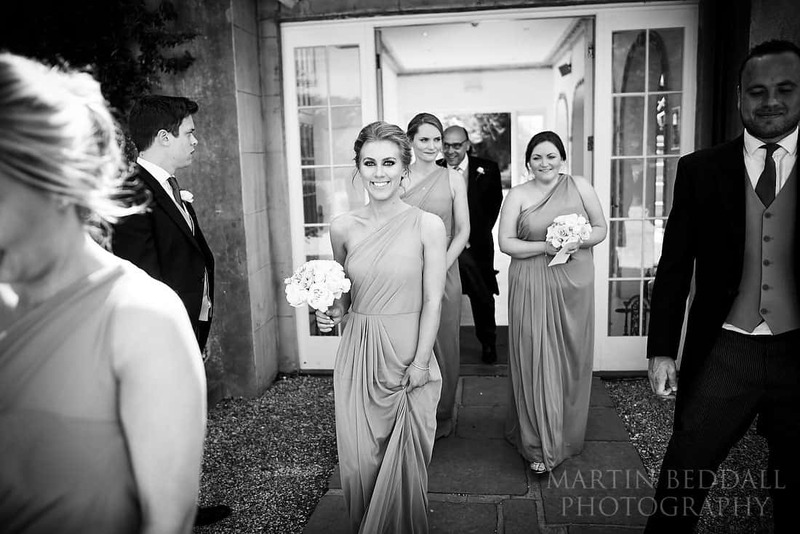 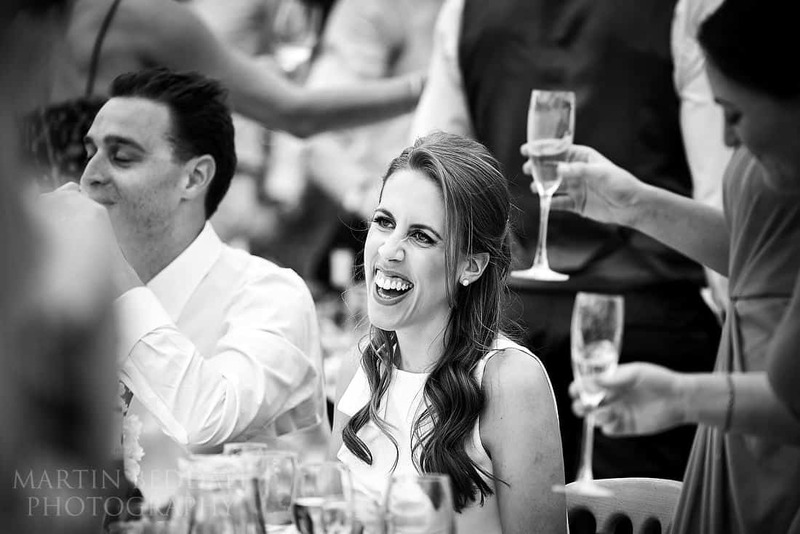 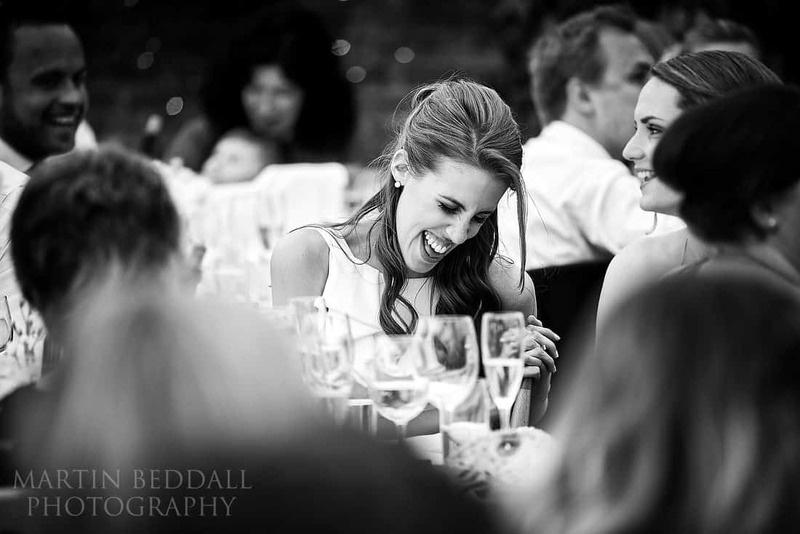 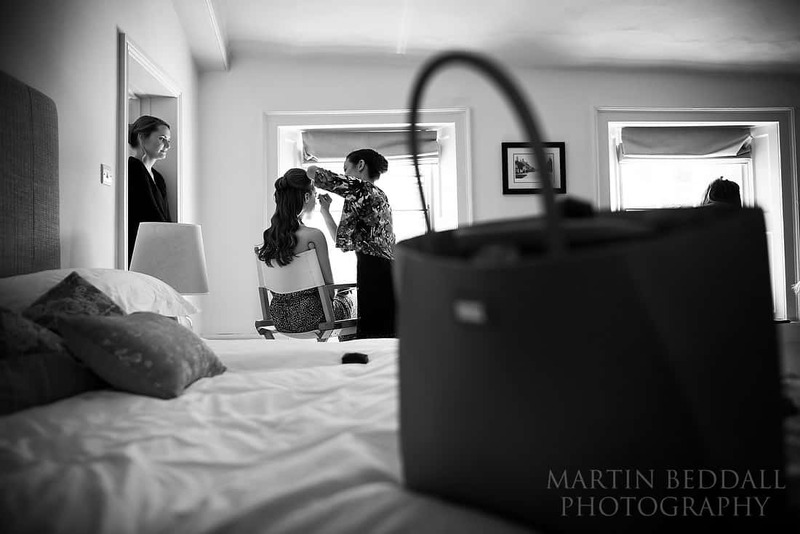 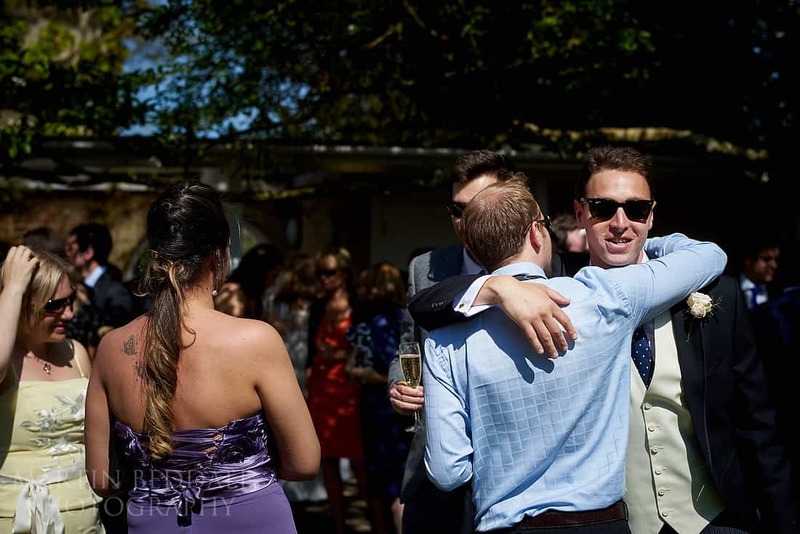 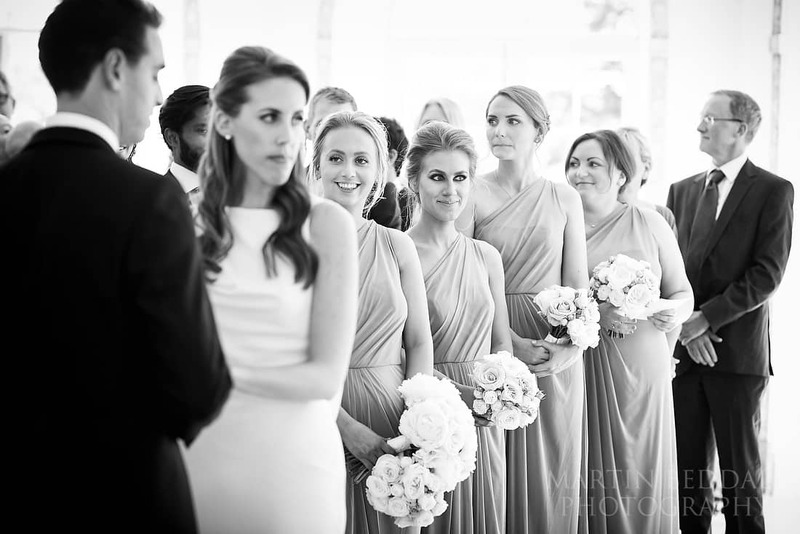 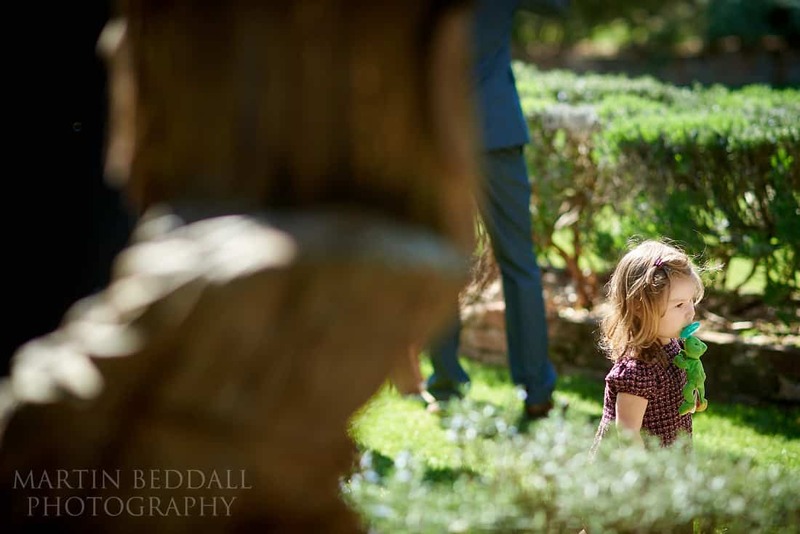 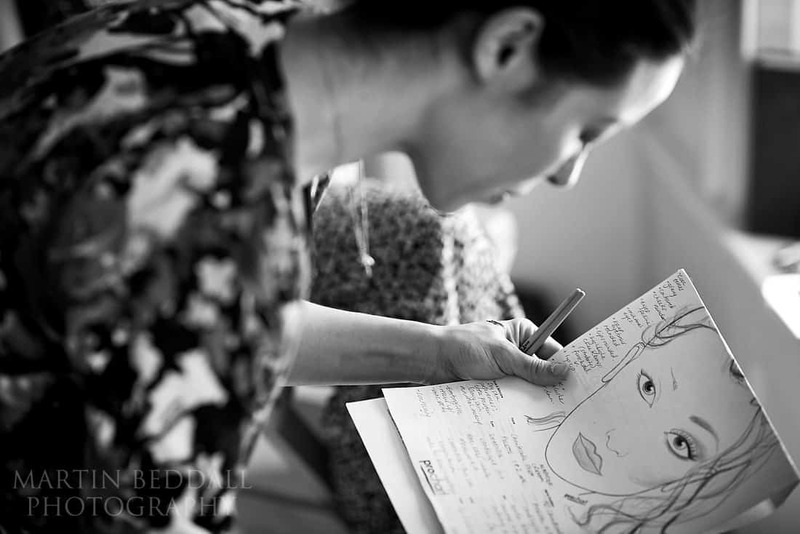 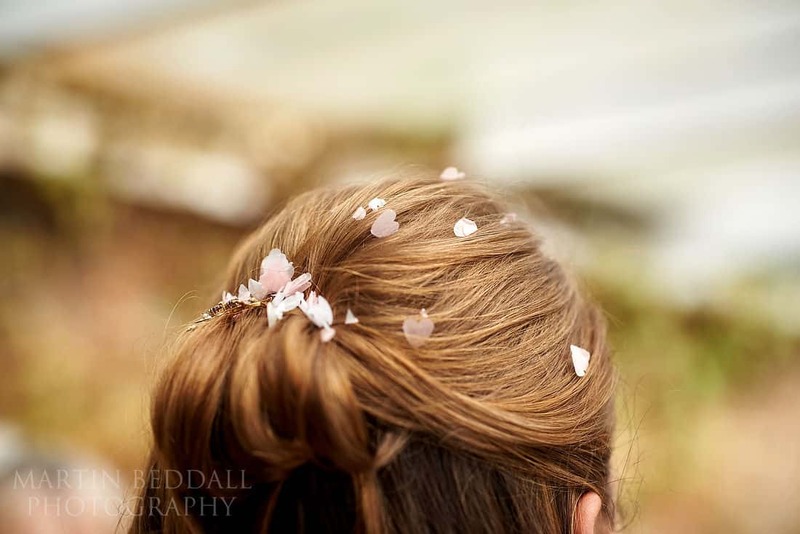 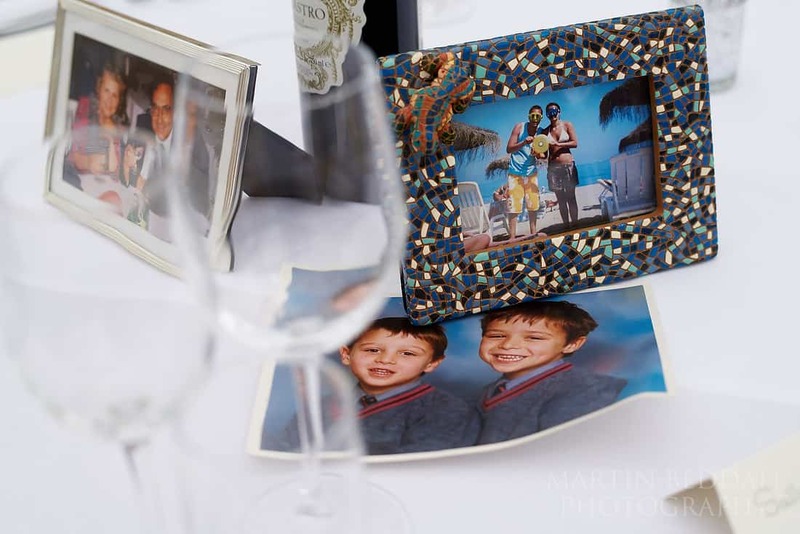 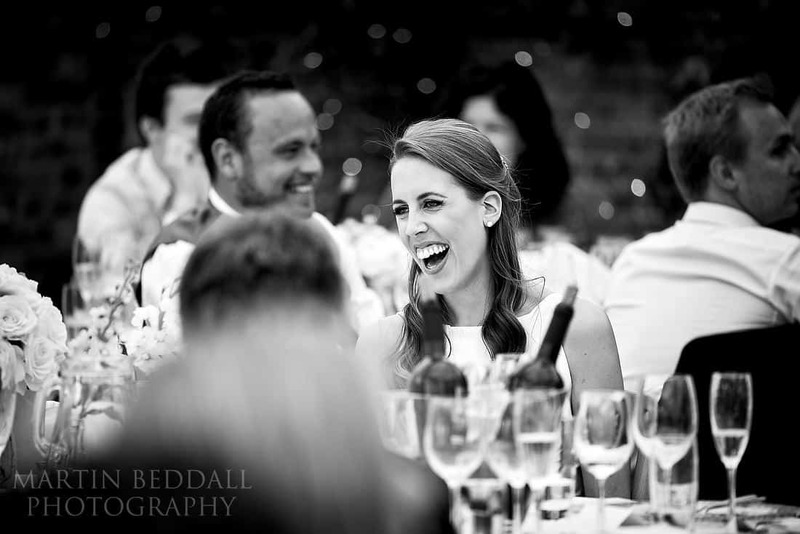 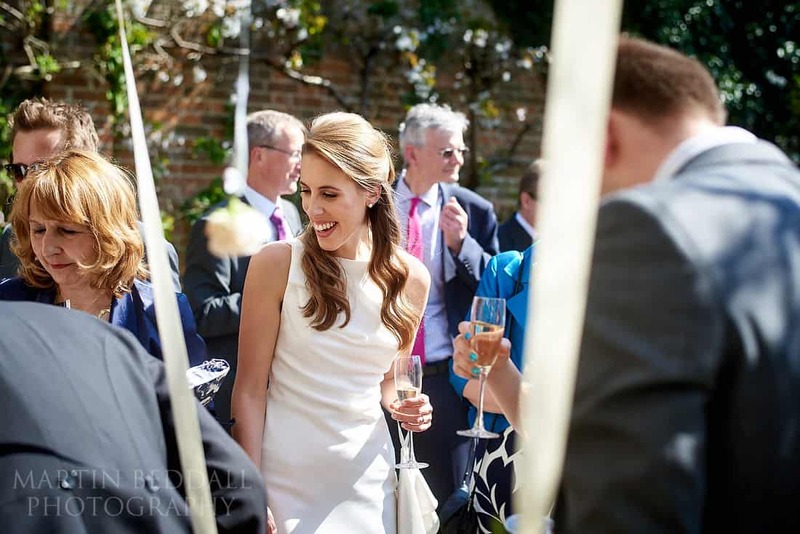 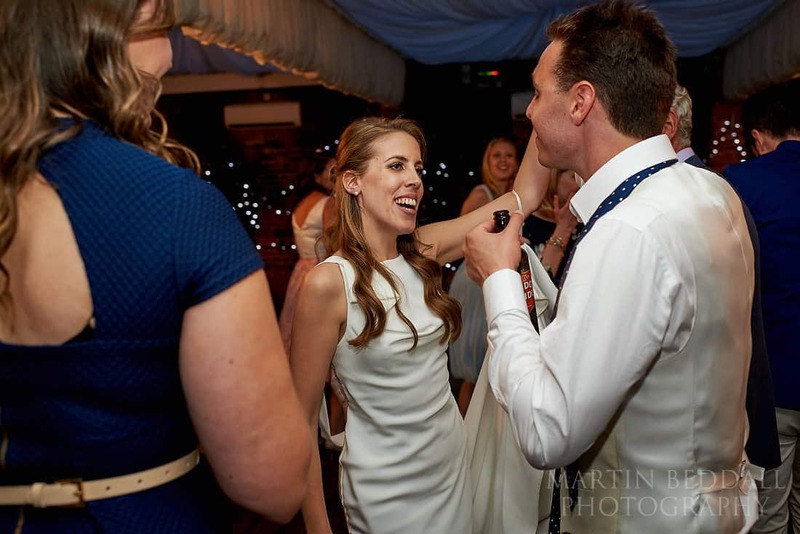 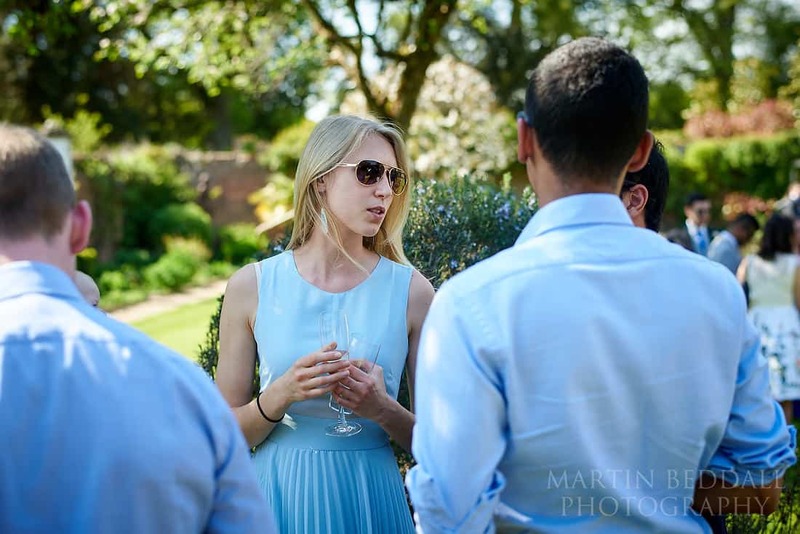 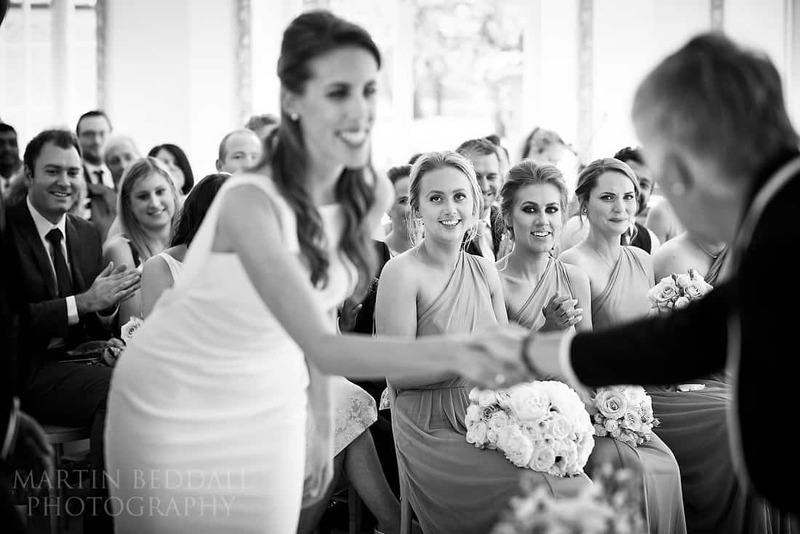 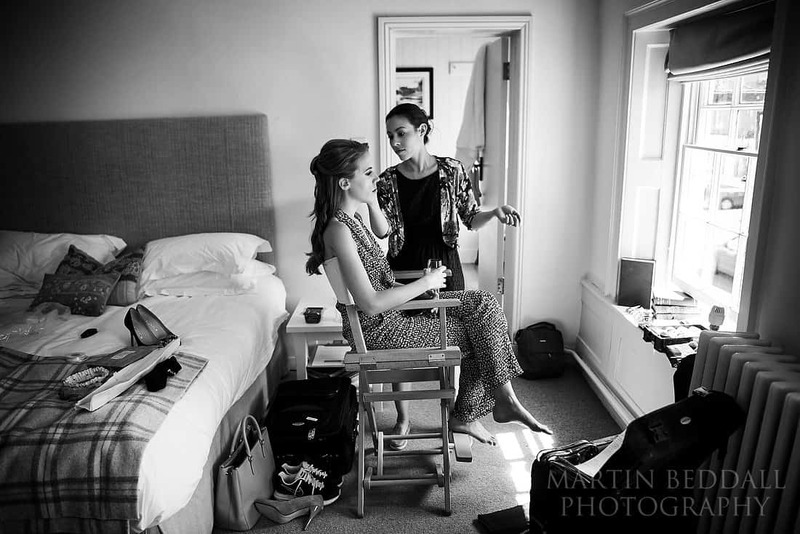 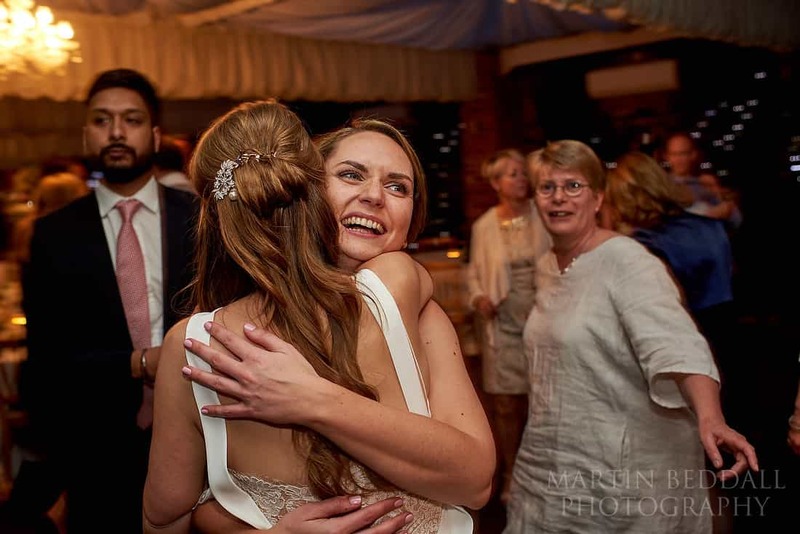 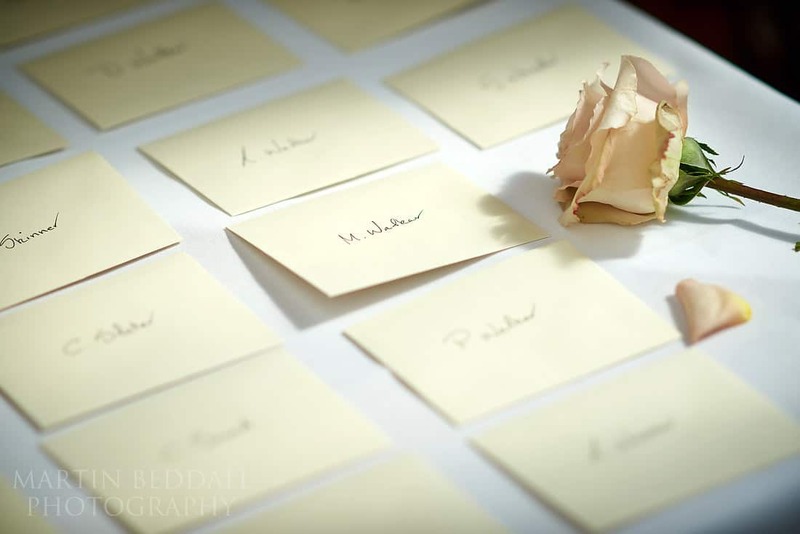 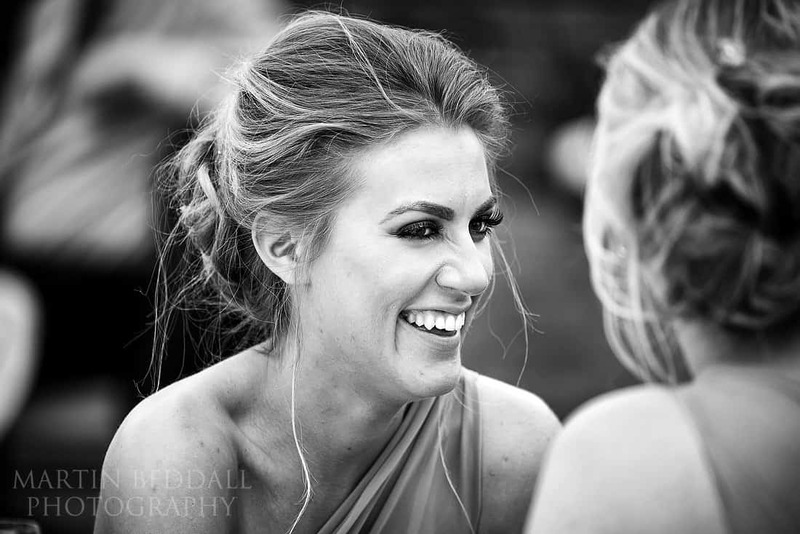 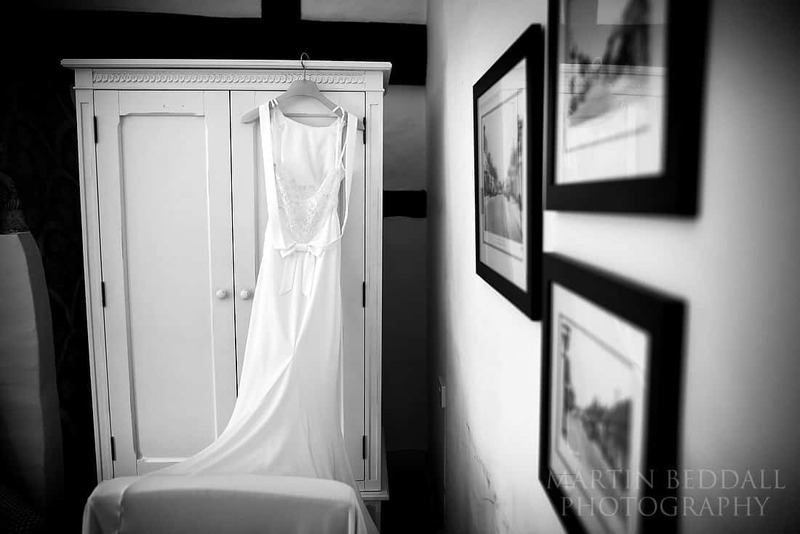 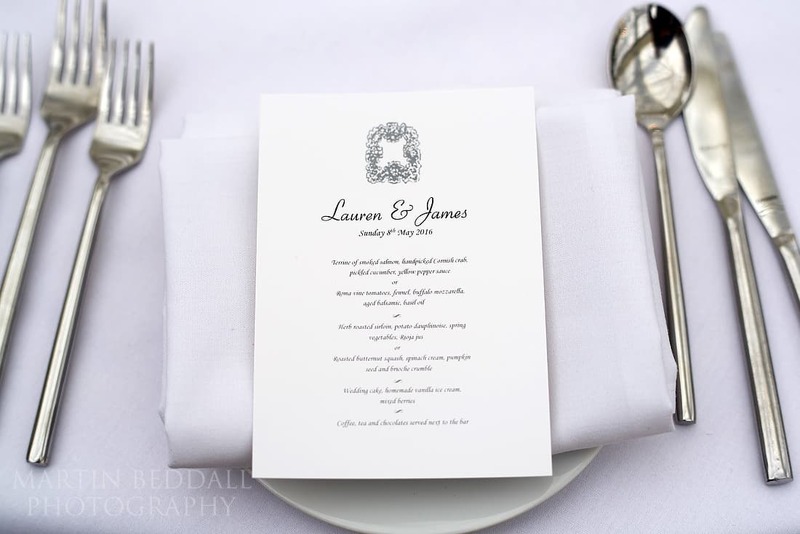 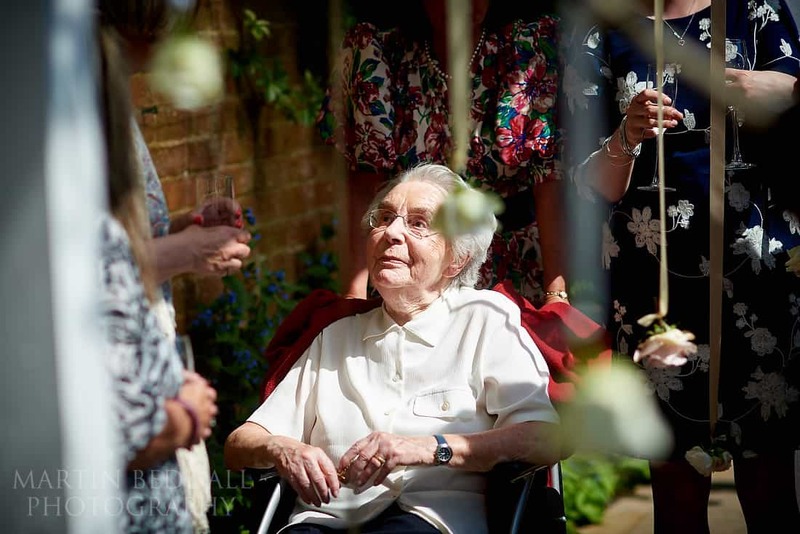 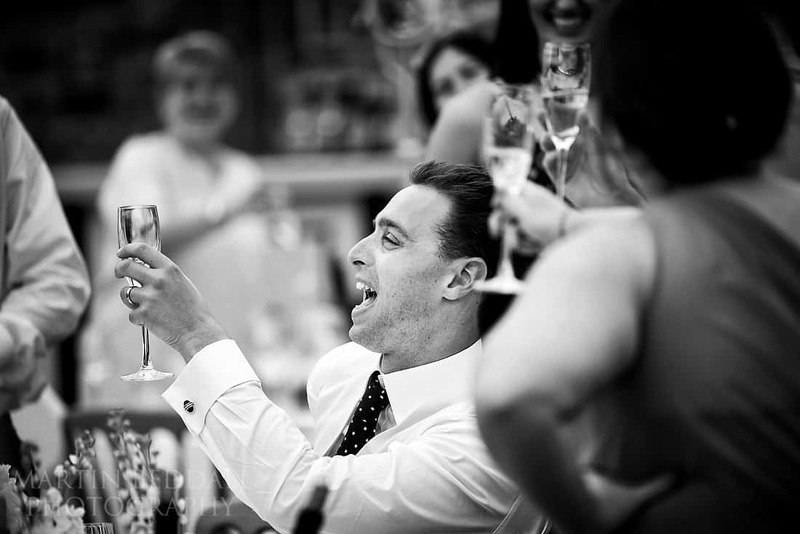 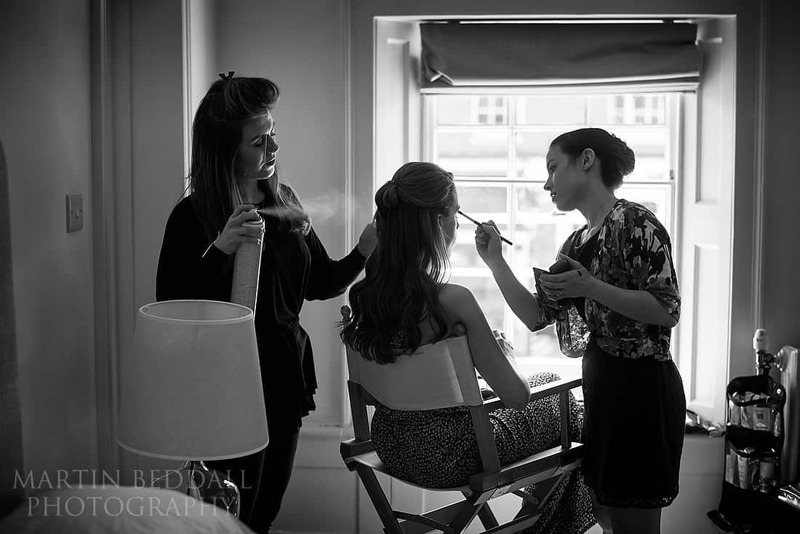 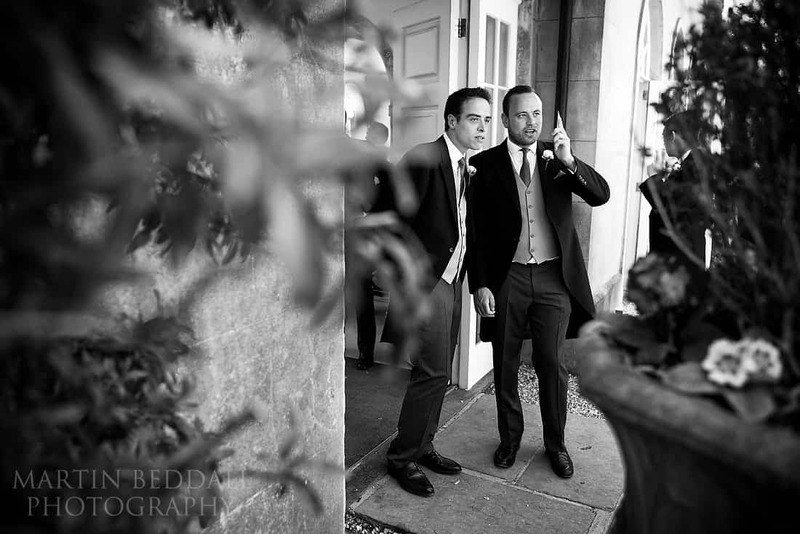 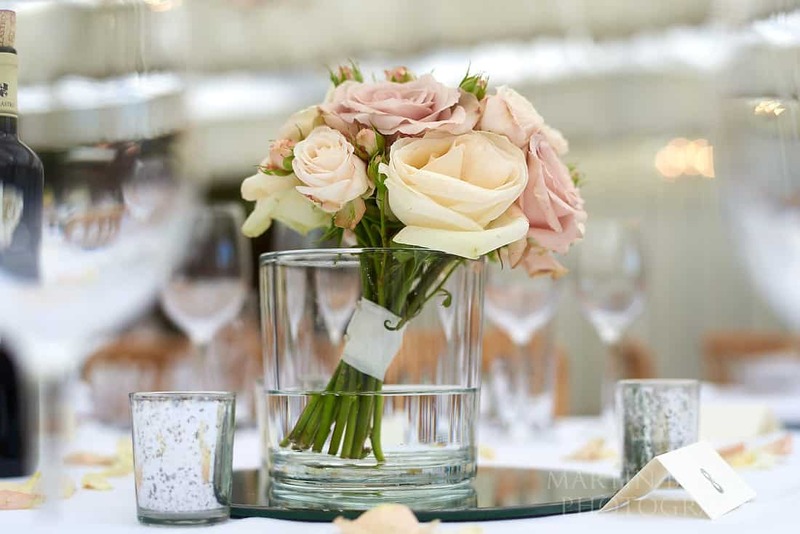 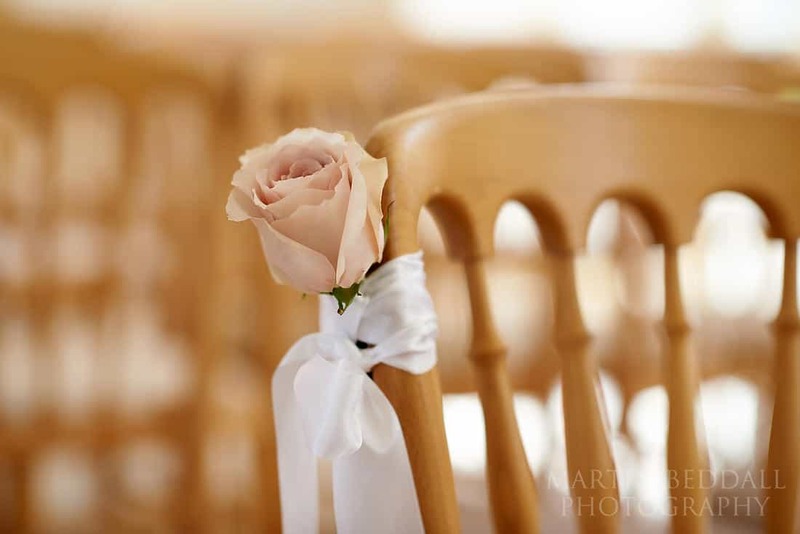 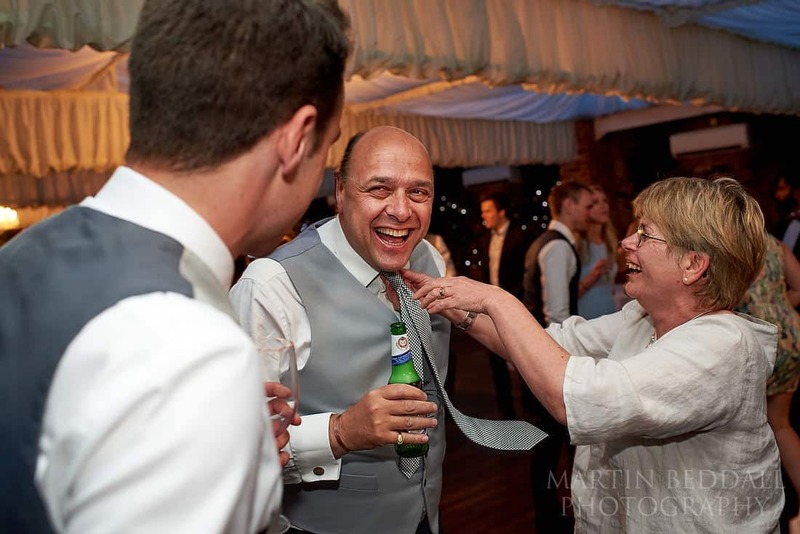 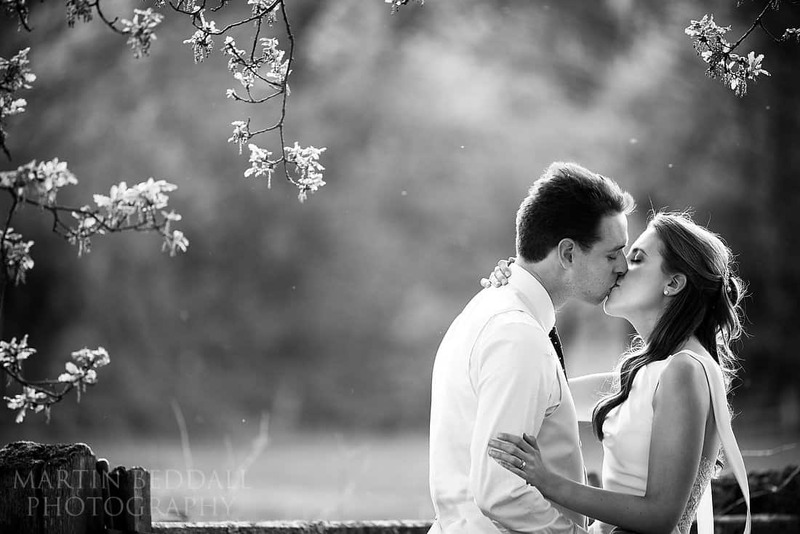 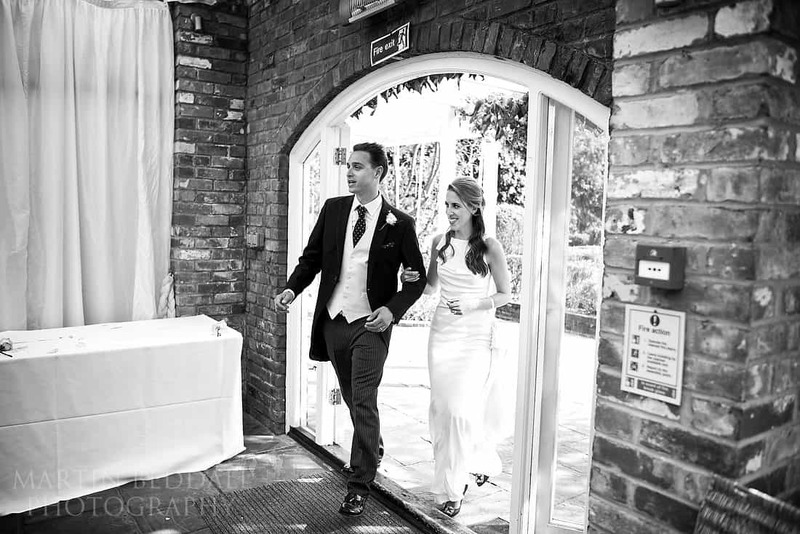 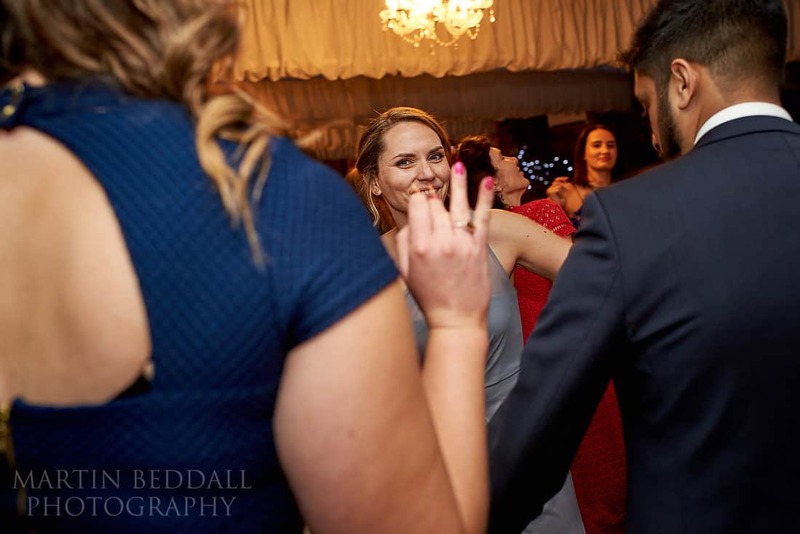 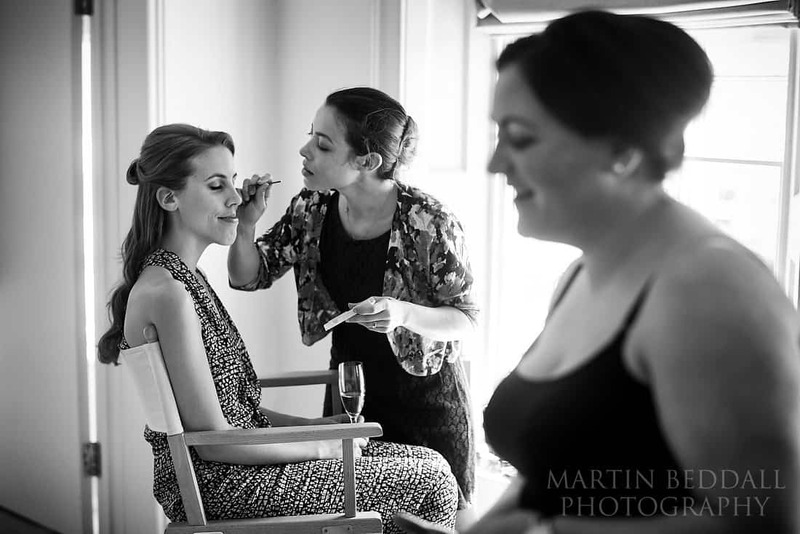 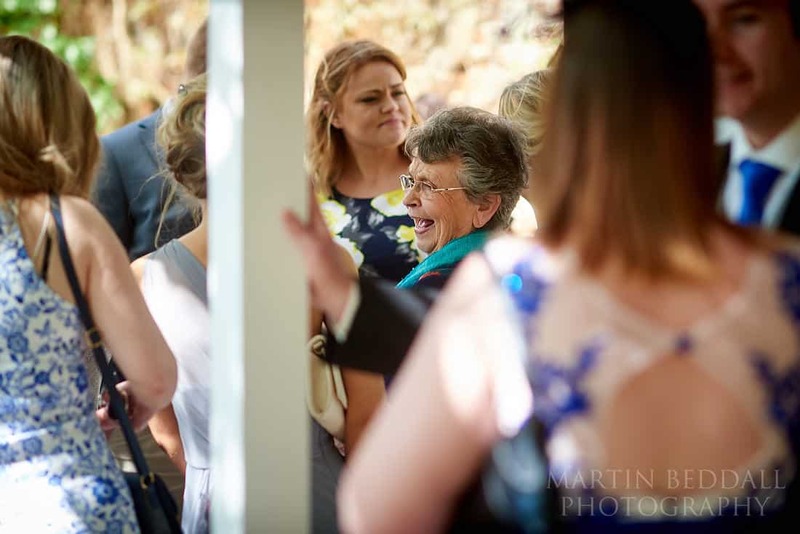 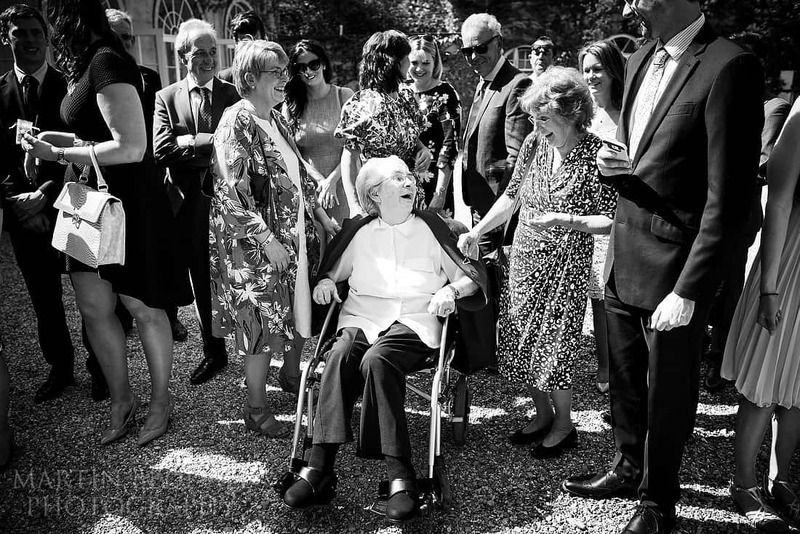 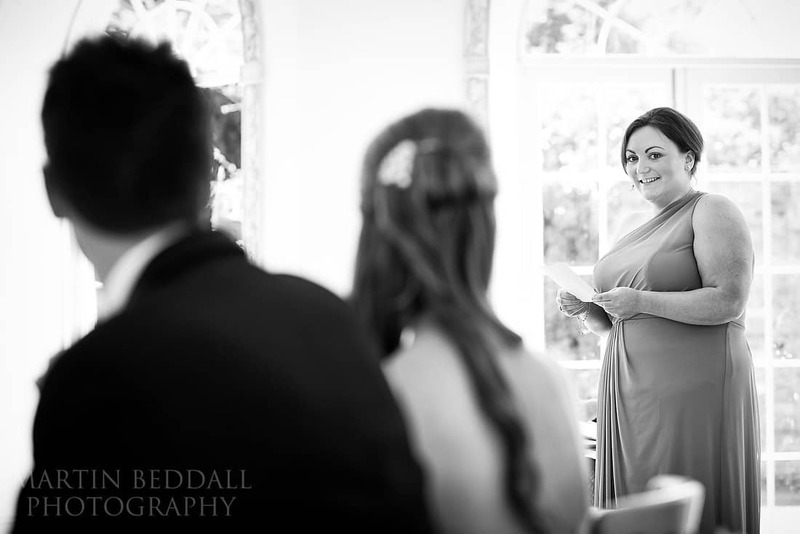 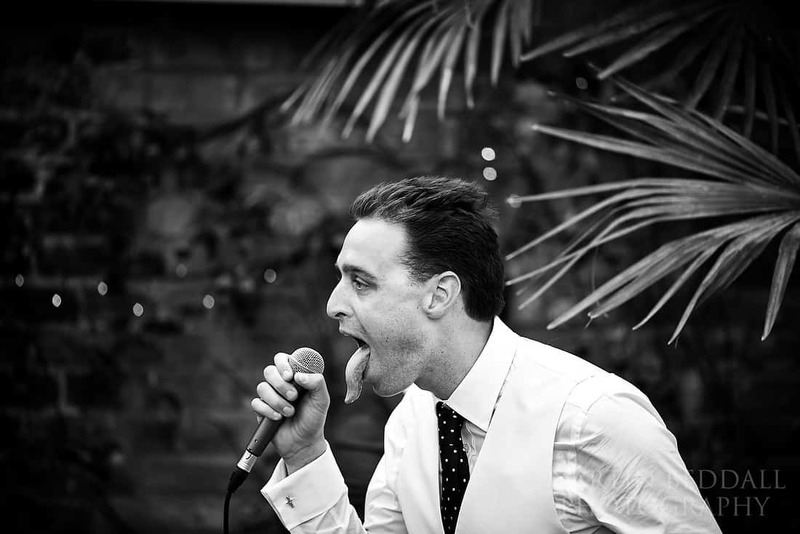 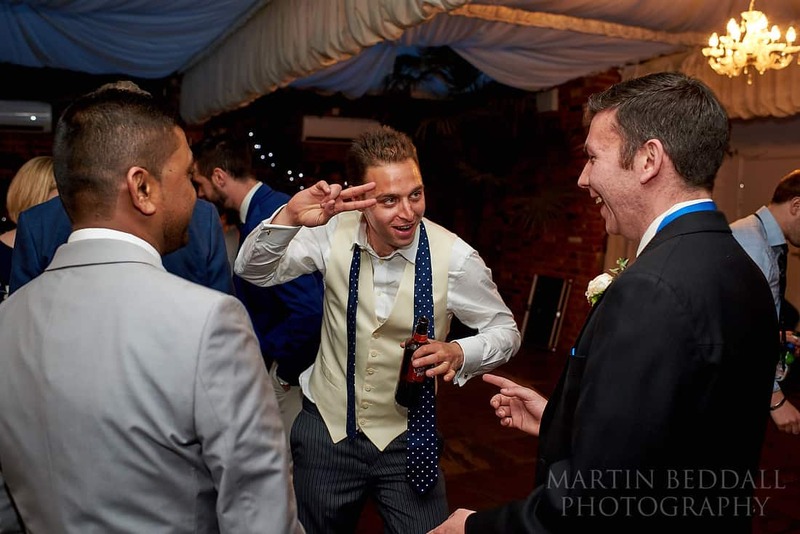 Before the ceremony and reception at Northbrook Park, Lauren was getting ready with family and friends in the old coaching inn, The Bel and Dragon, in the village of Odiam. 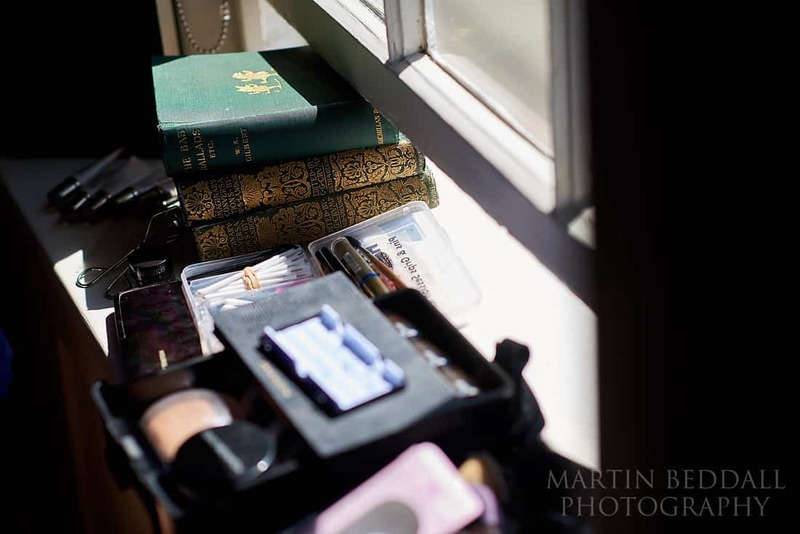 The window propped open with some old books, to give the room some cooling breeze. 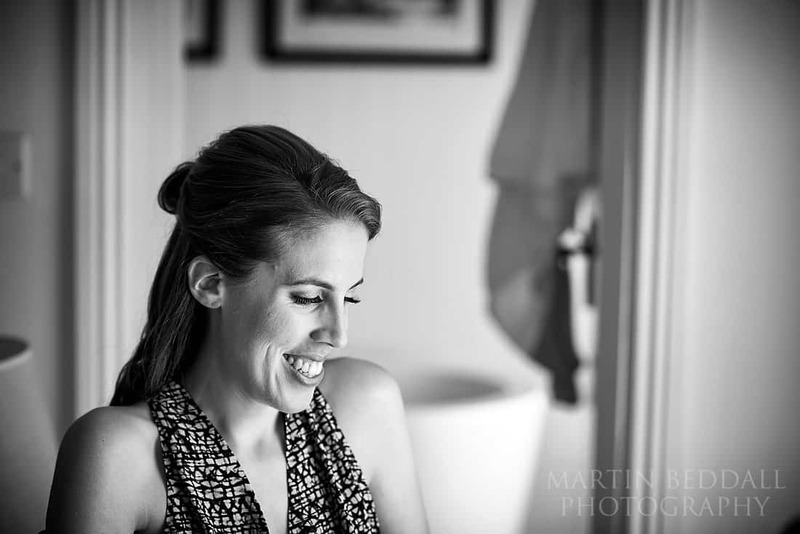 Lauren looked very relaxed. 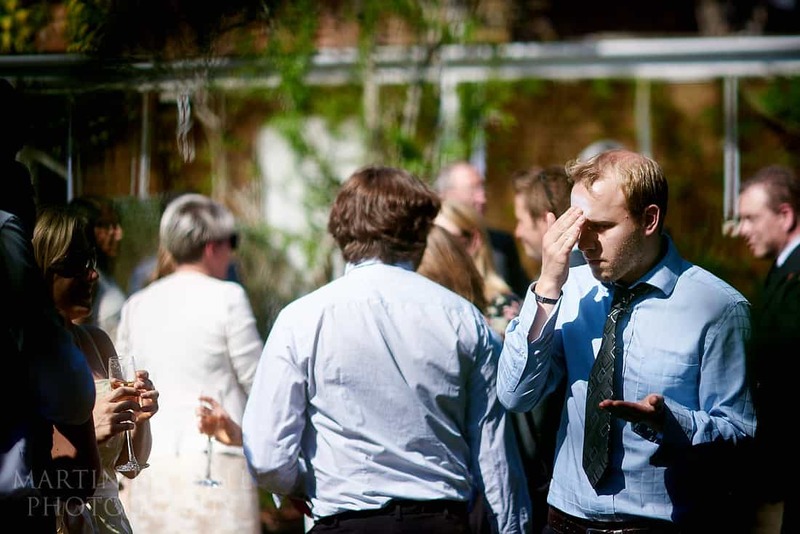 A short drive through some country lanes and onto the venue, the grade II listed, eighteenth century manor house, and a James looking a bit more apprehensive? 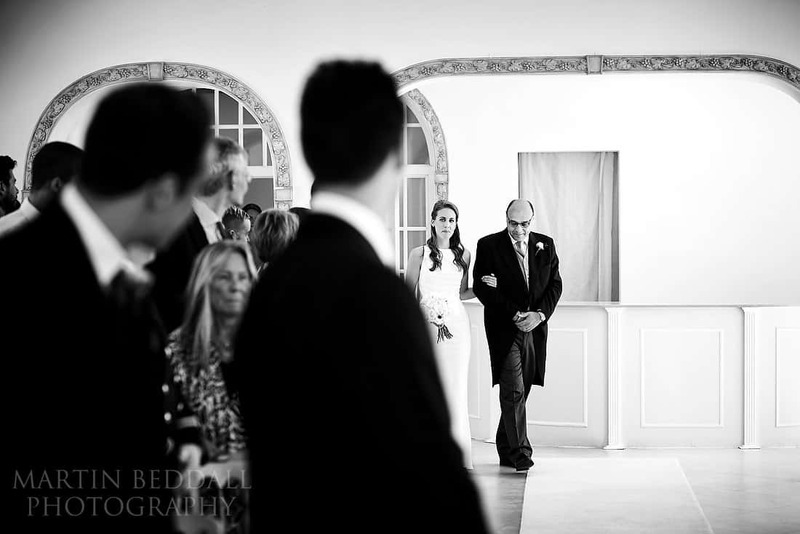 Guests gathered in the Vine room, before James’s father lead Lauren down the aisle. 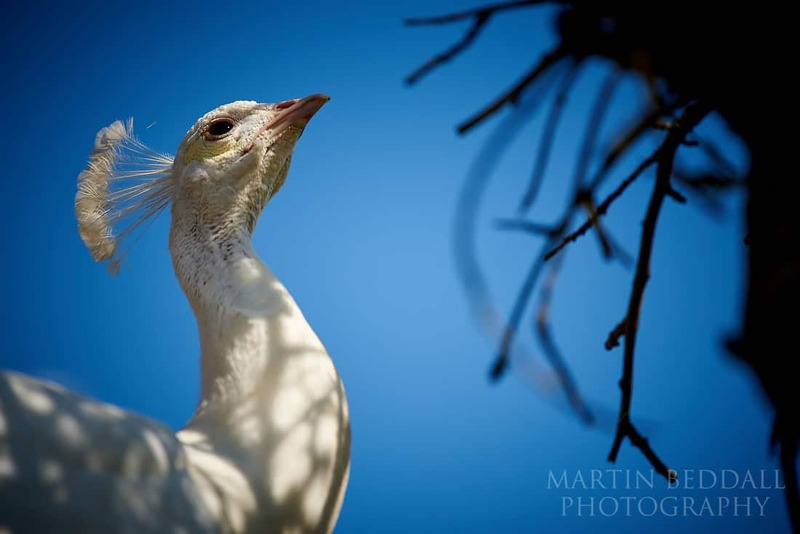 The peacocks sounding off outside still. 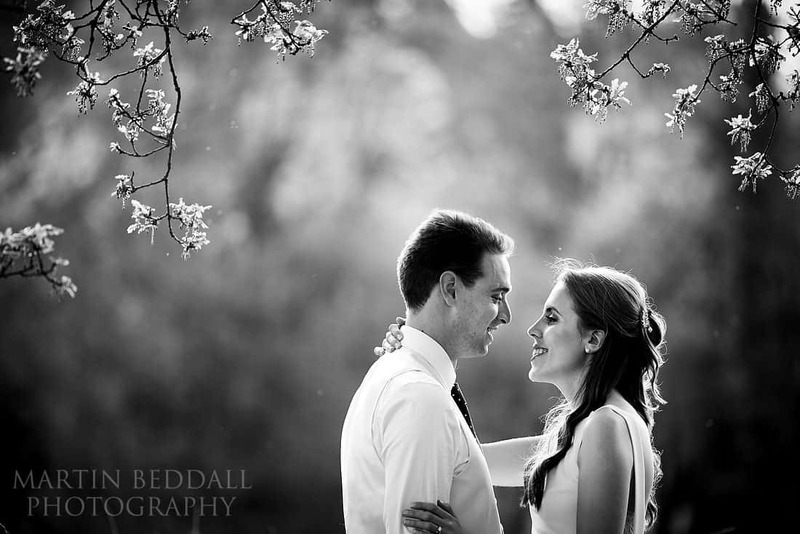 Teenage sweethearts, now a married couple. 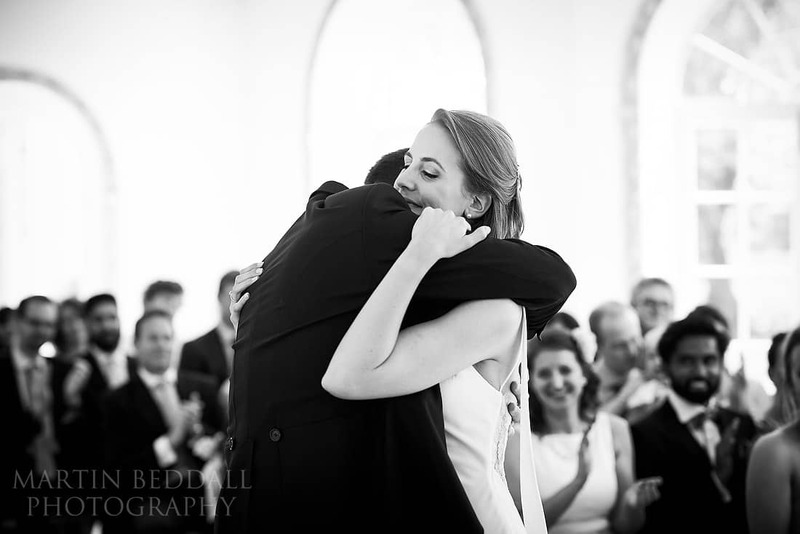 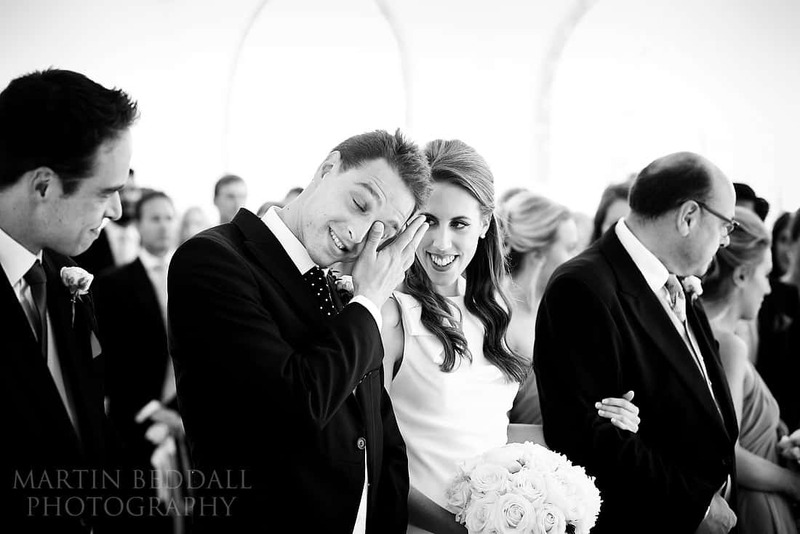 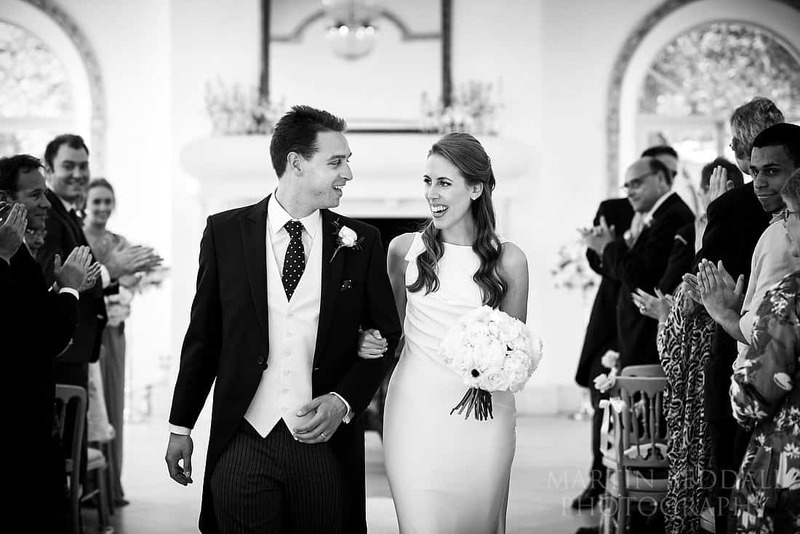 Smile, tears – Lauren and James were now married. 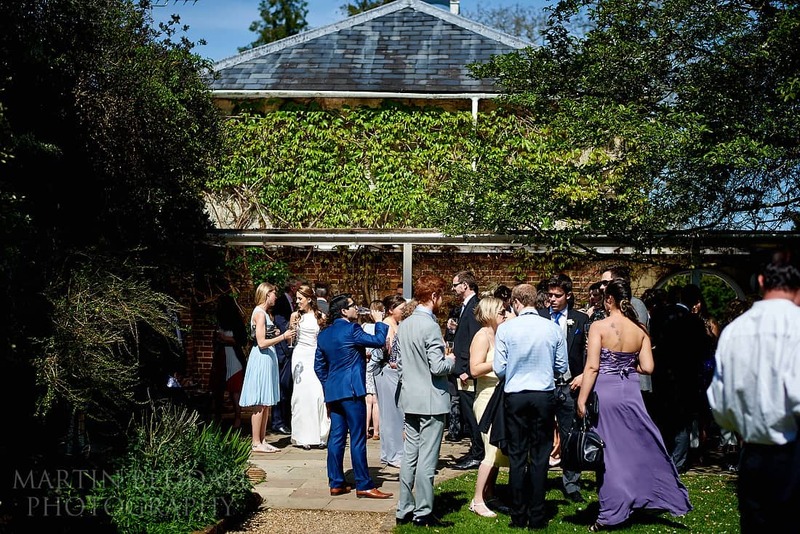 Confetti out the front and then into the gardens for drinks (and more peacocks) With blue skies and little shade the heat hit some. 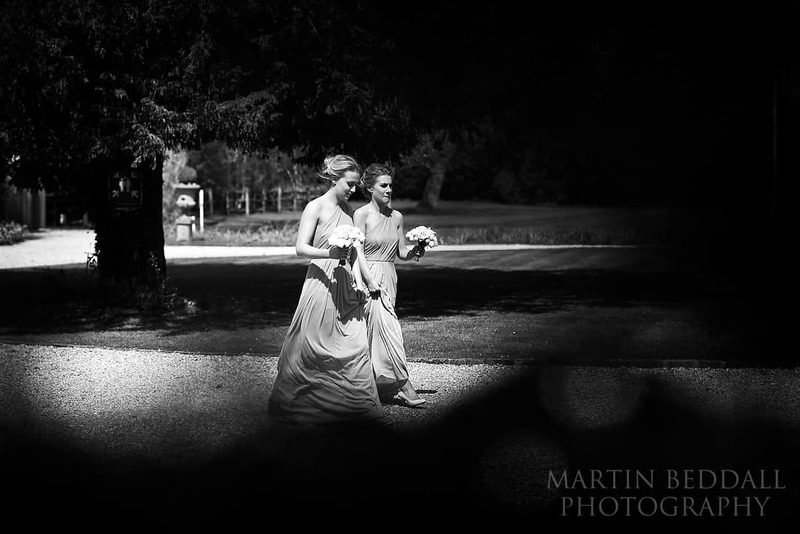 A few quick portraits in the shade – James carrying Lauren across the gravel. 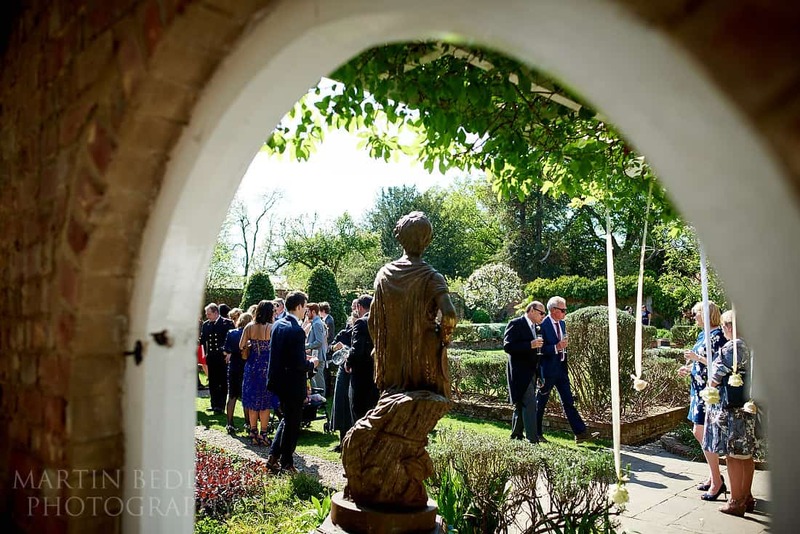 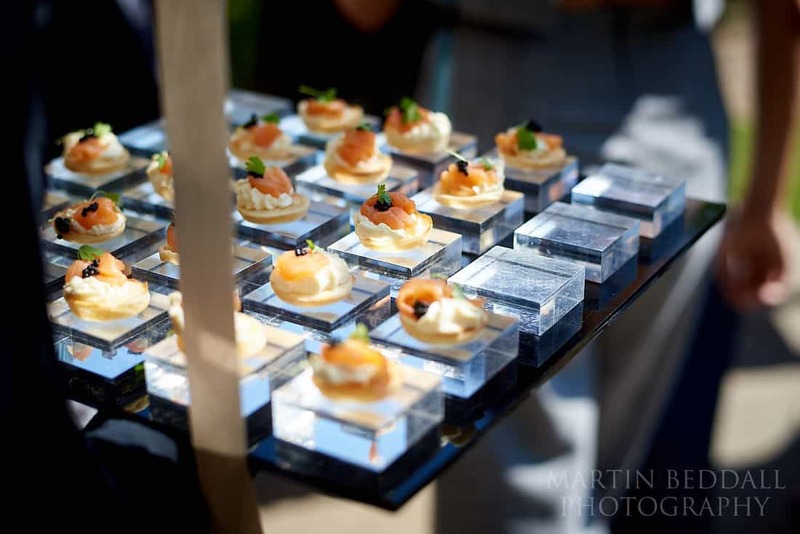 Then into The Orangery for the meal – cake quickly cut enroute. 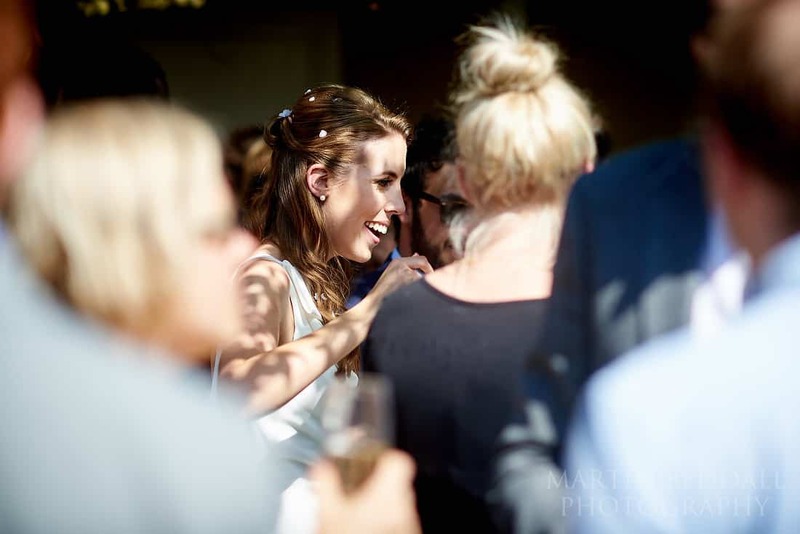 But first some speeches and lots of toasts. 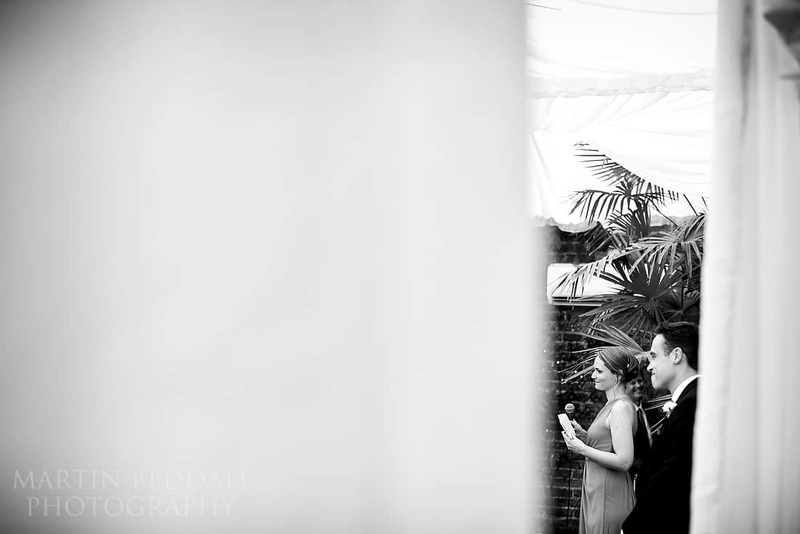 Outside the sun dipped, the heat cooled and the band set up behind the curtain. 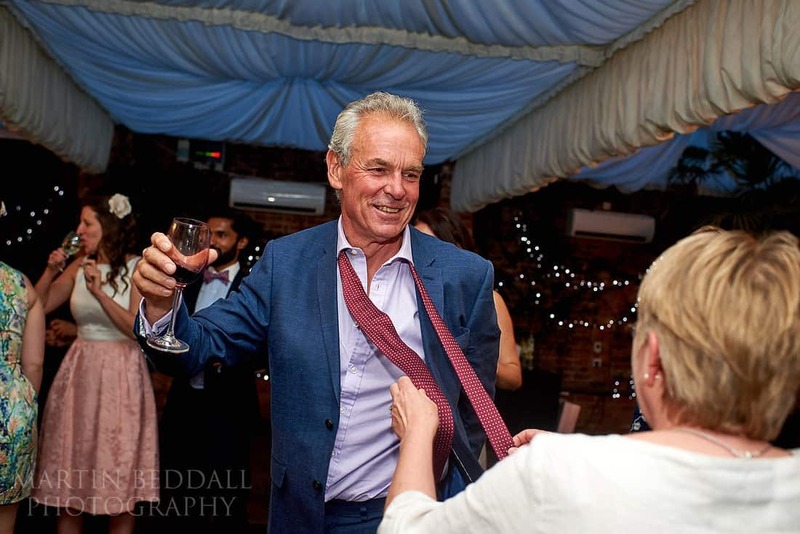 Then the dancefloor – with a no tie rule it seemed! 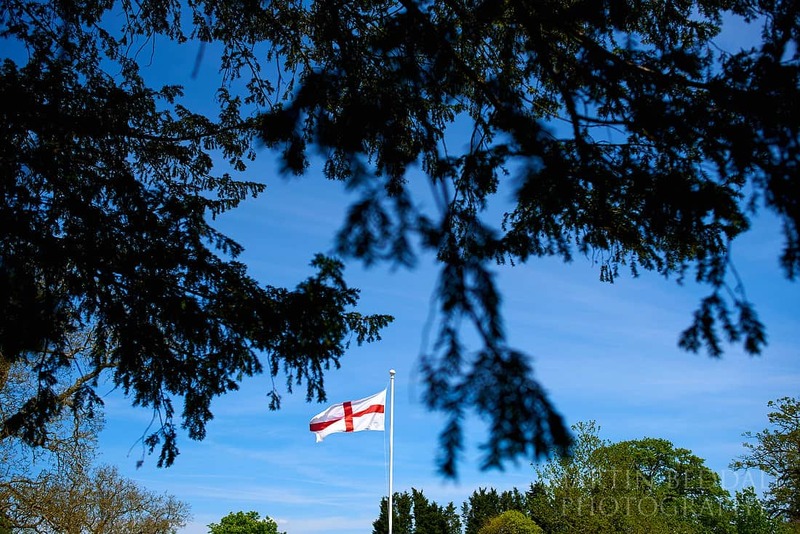 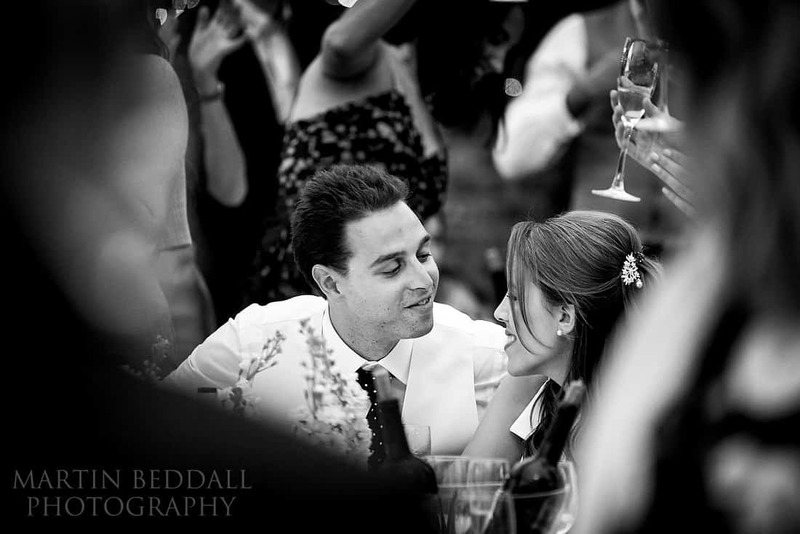 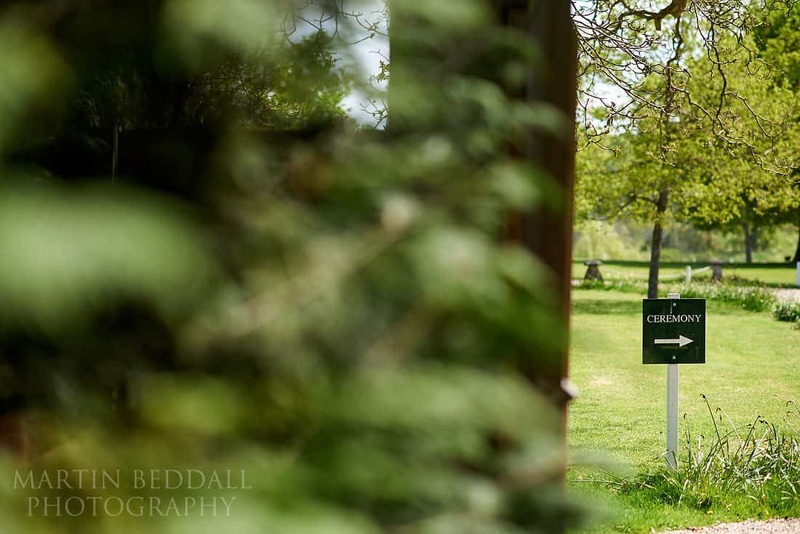 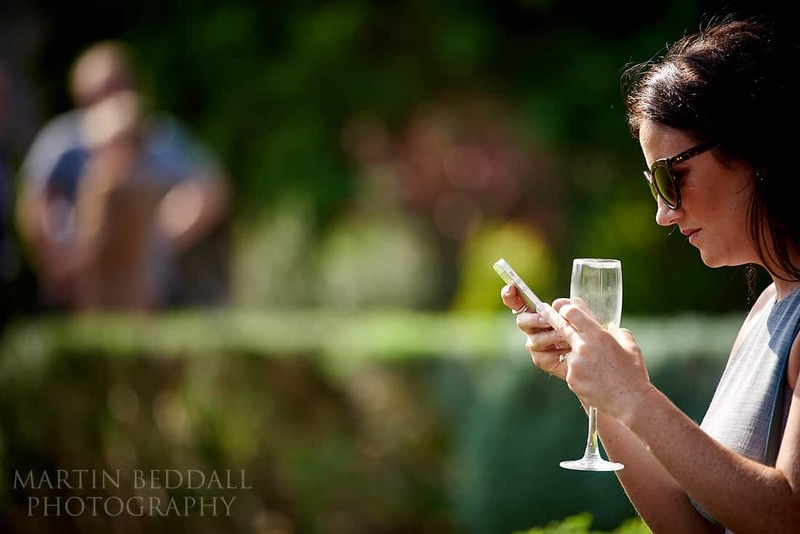 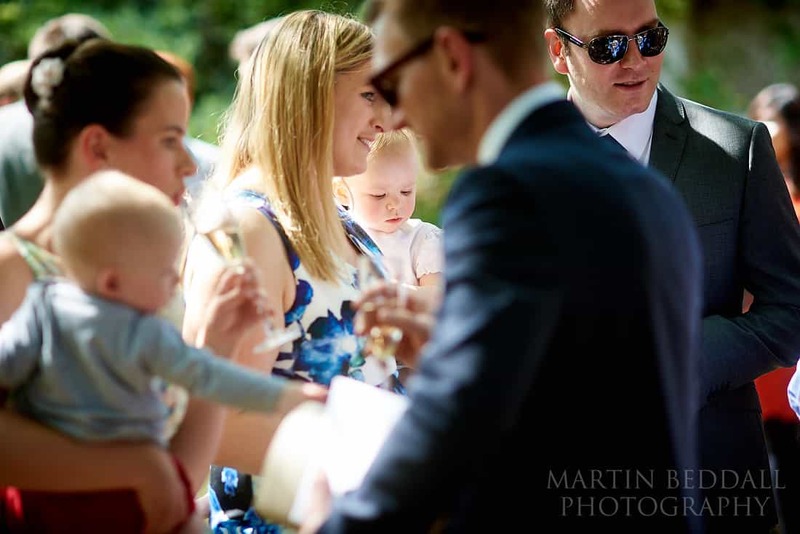 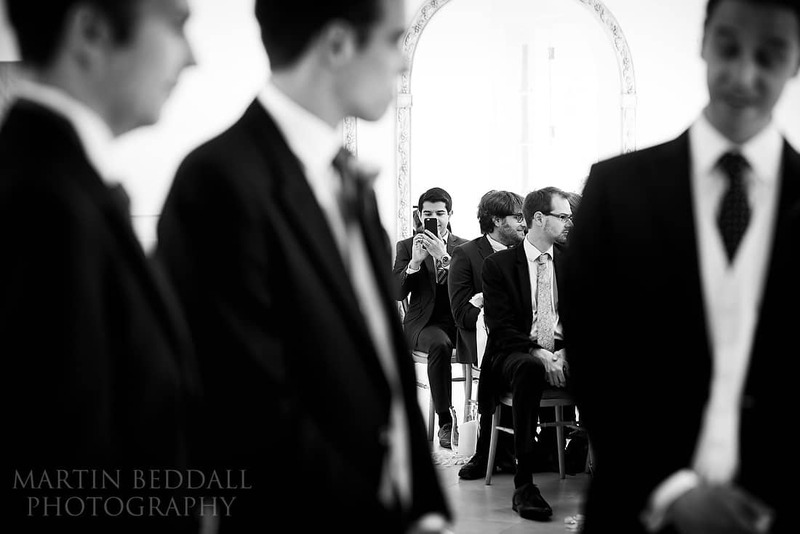 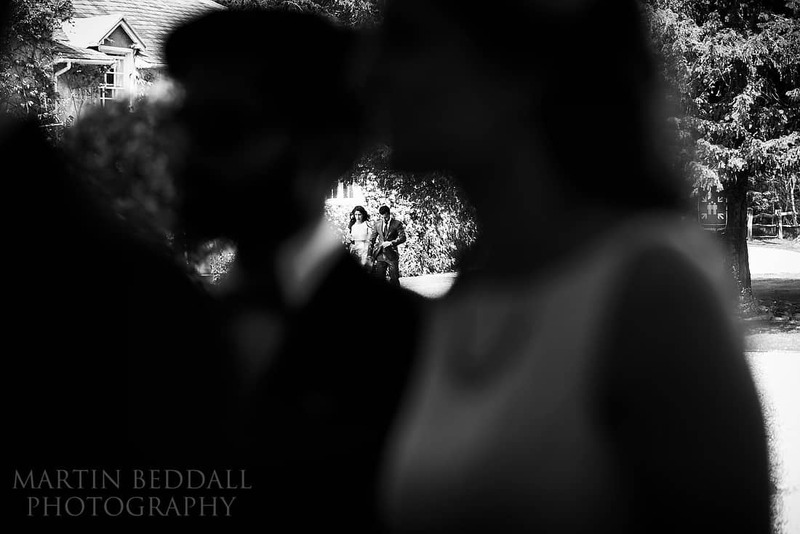 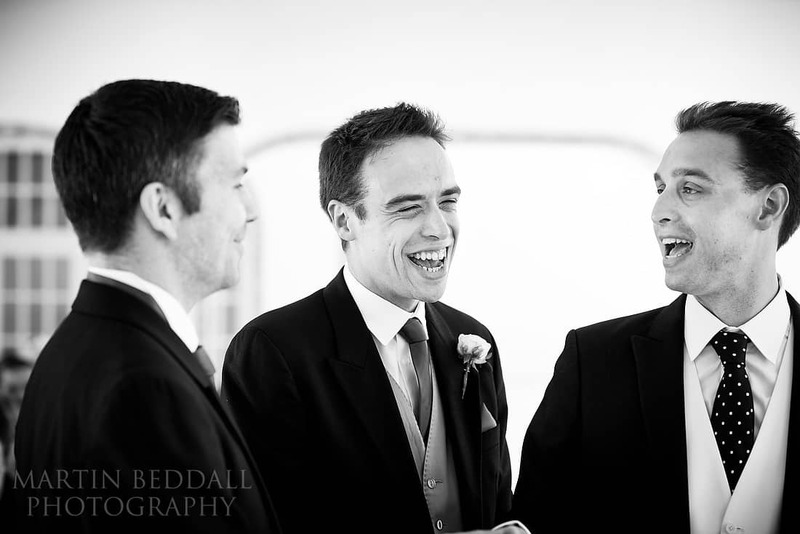 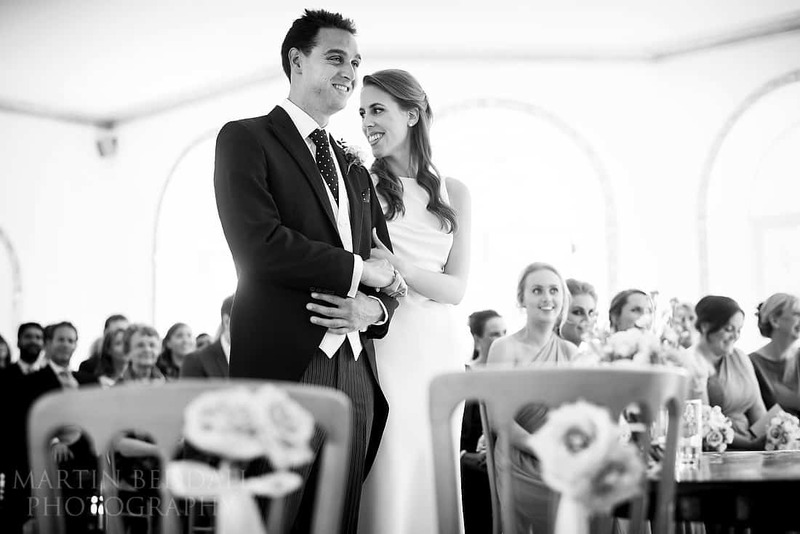 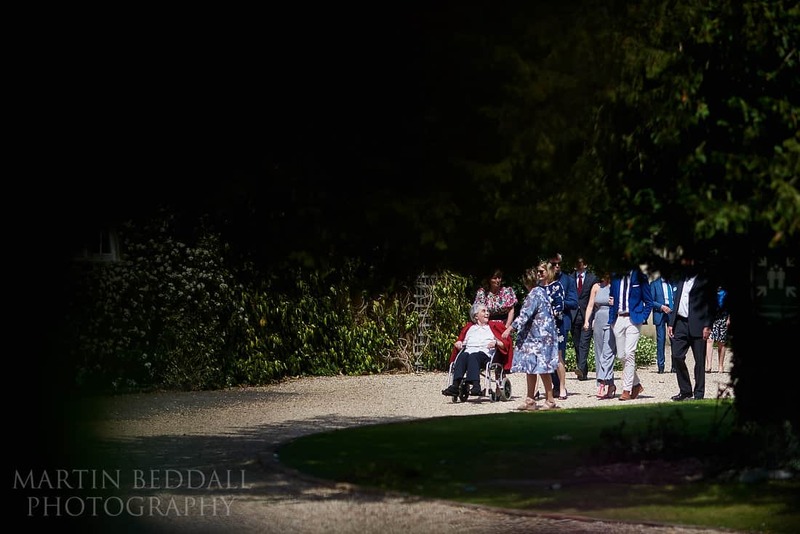 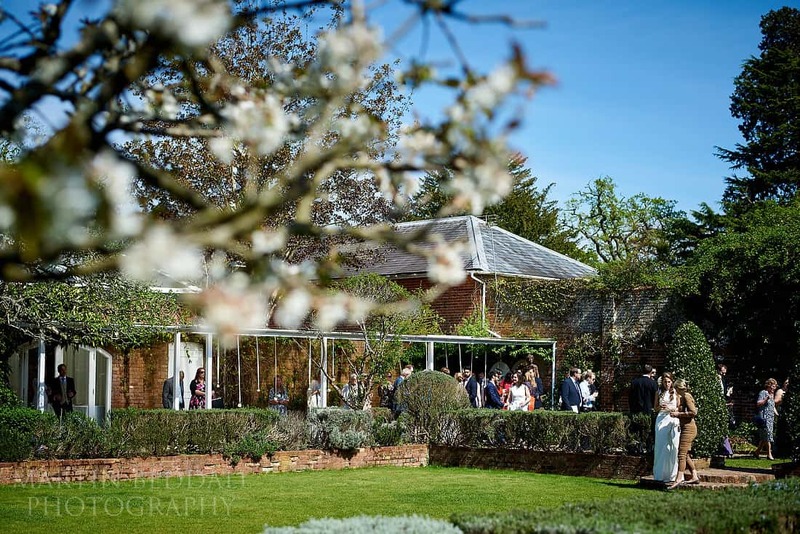 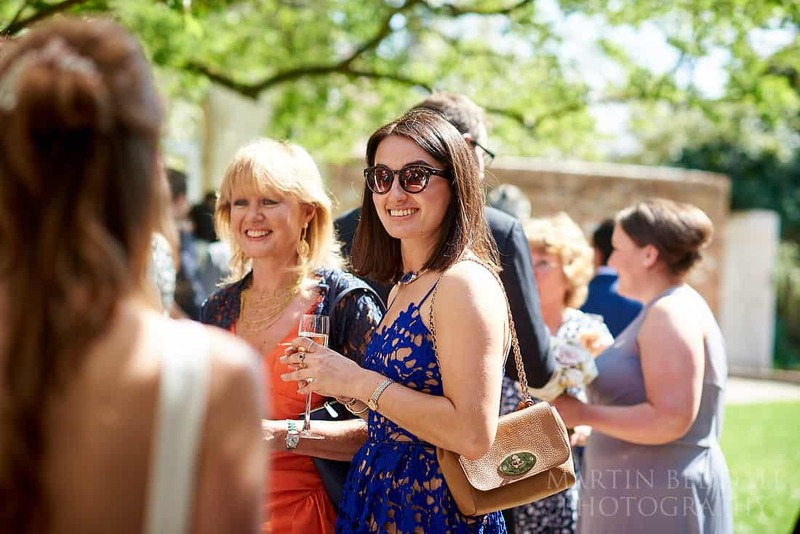 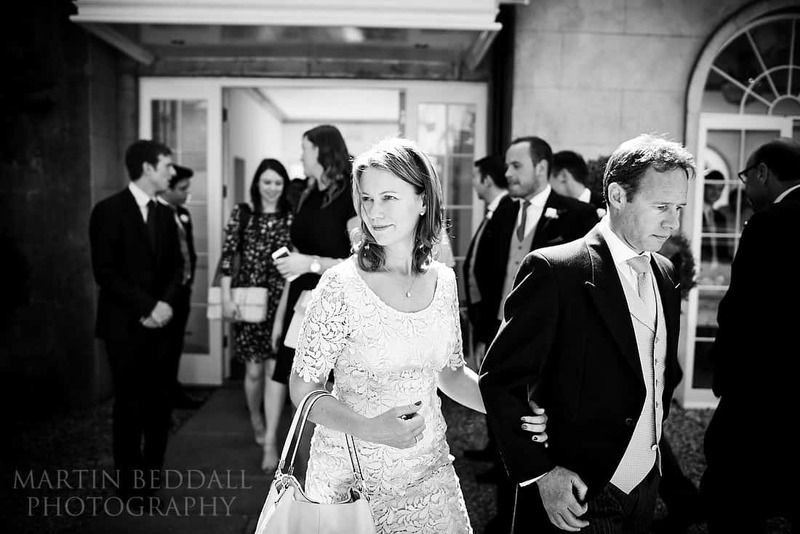 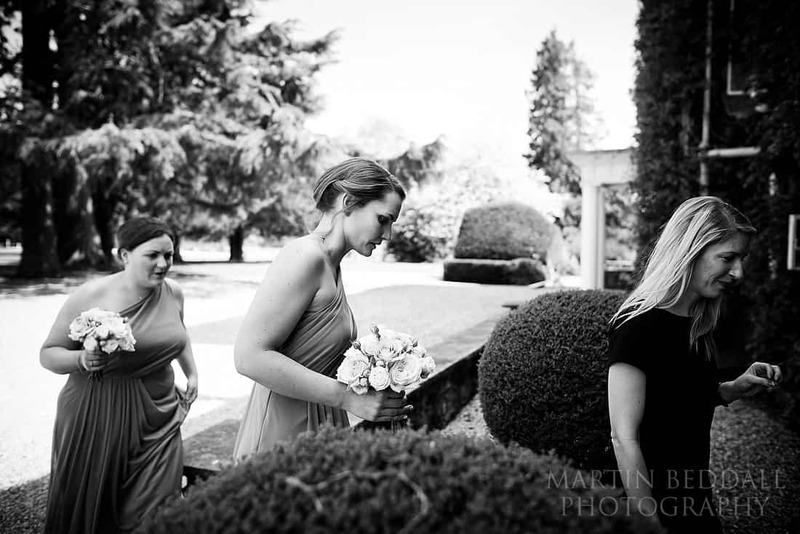 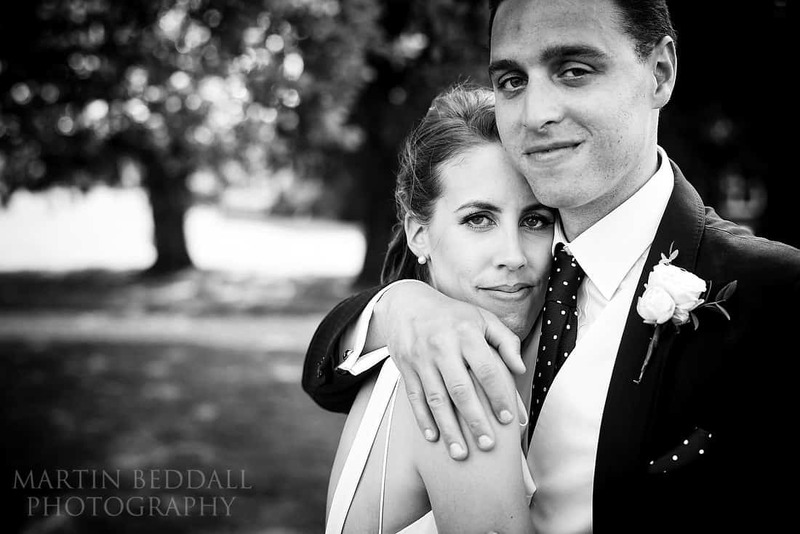 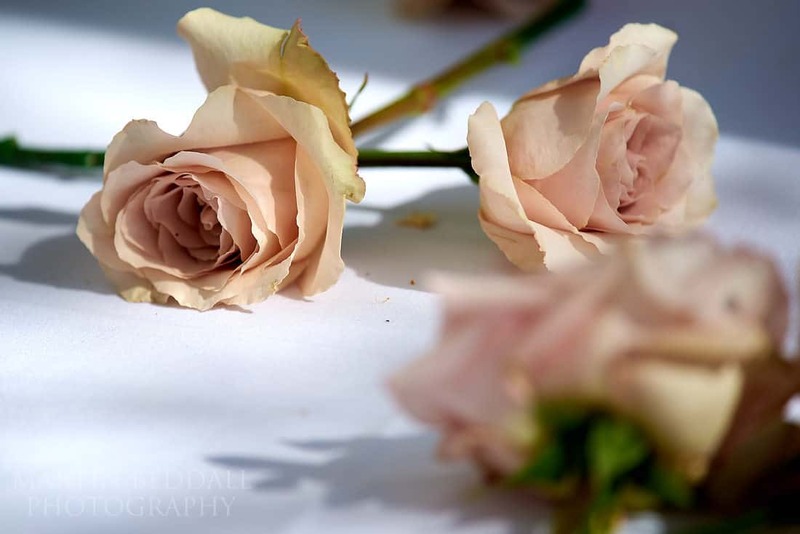 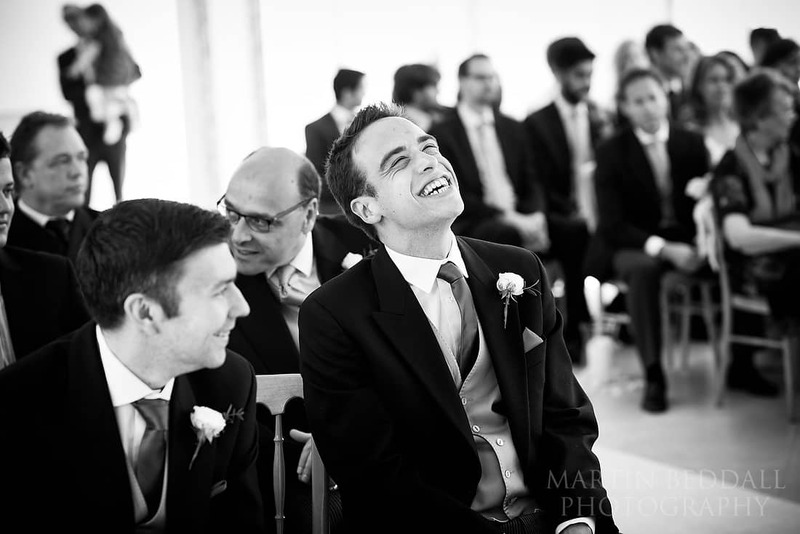 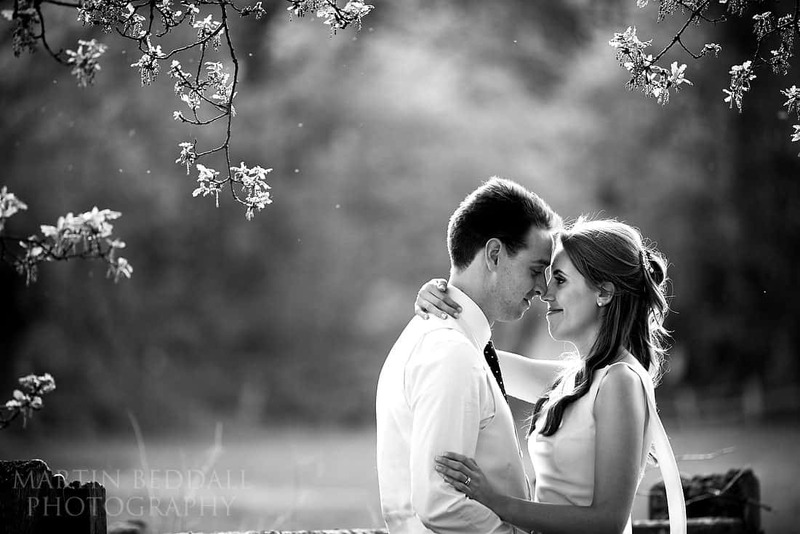 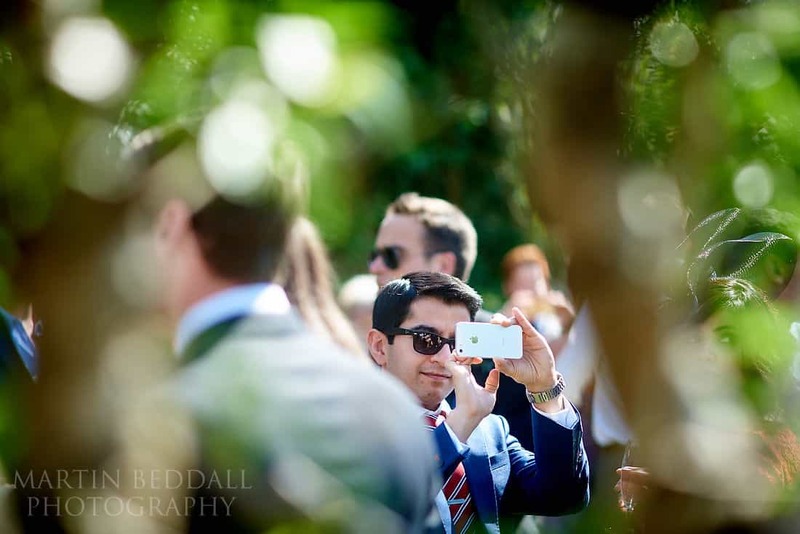 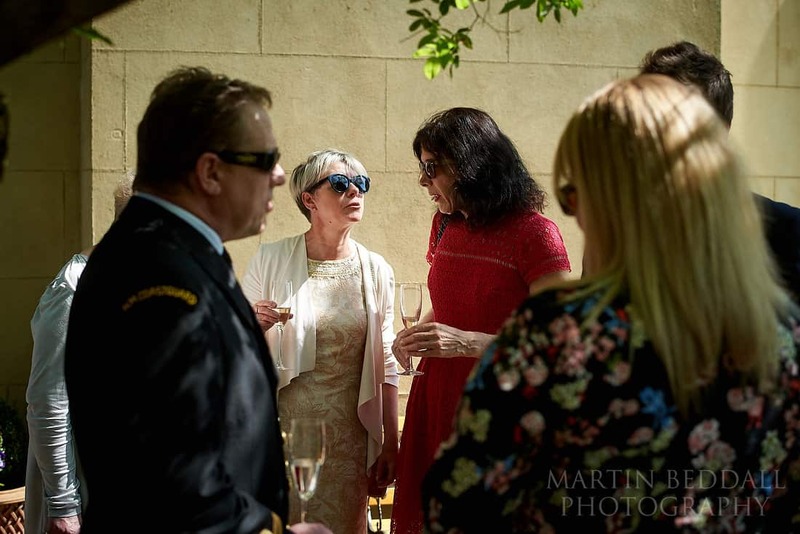 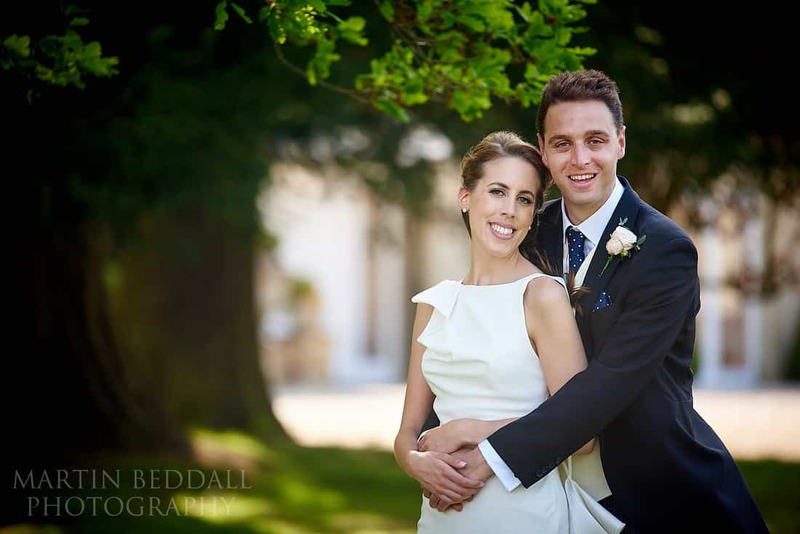 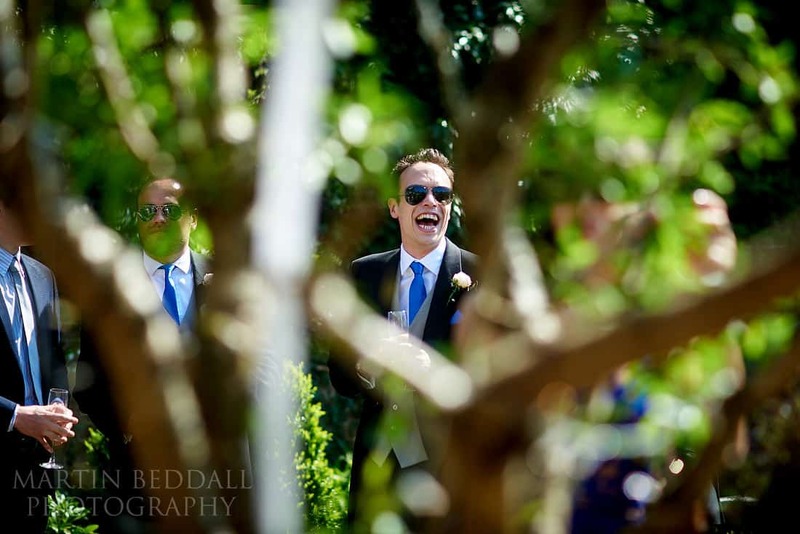 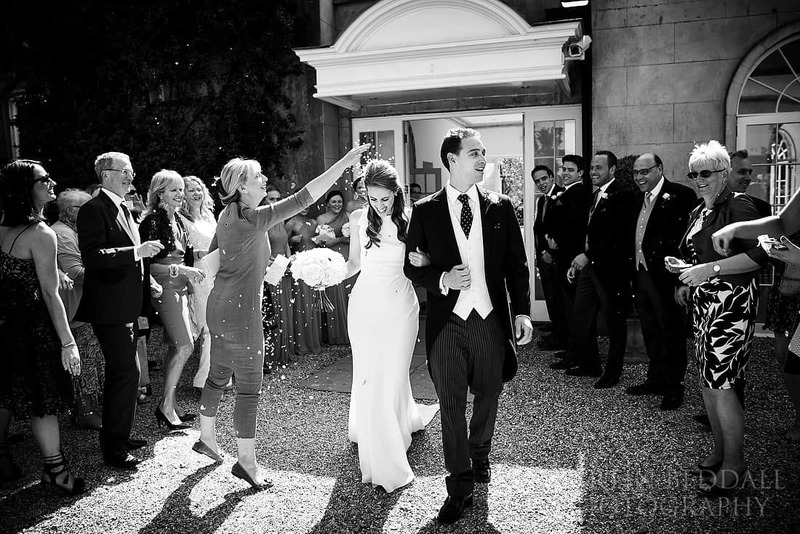 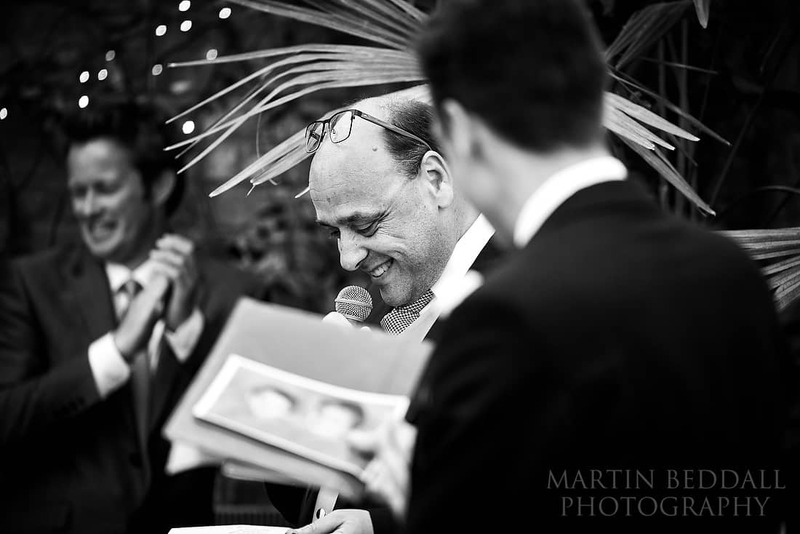 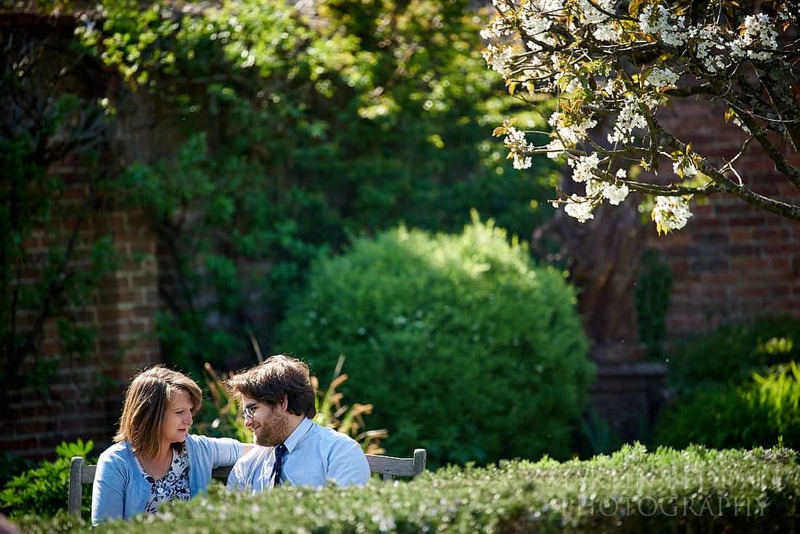 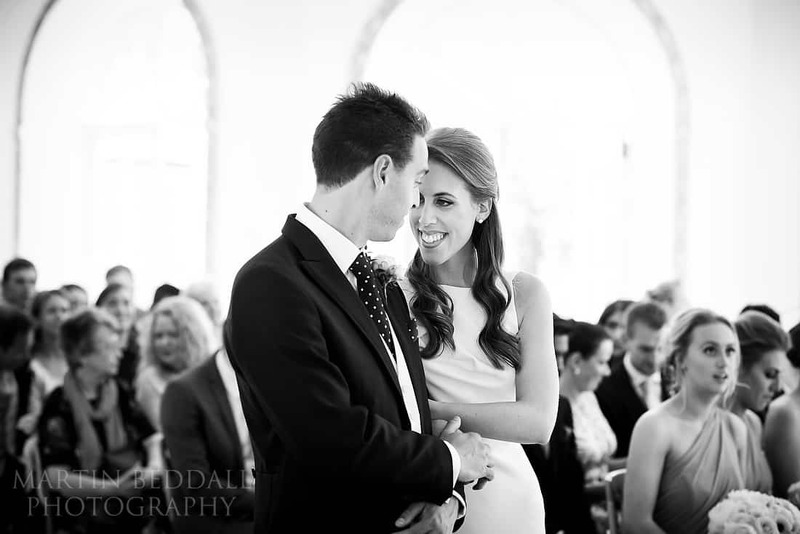 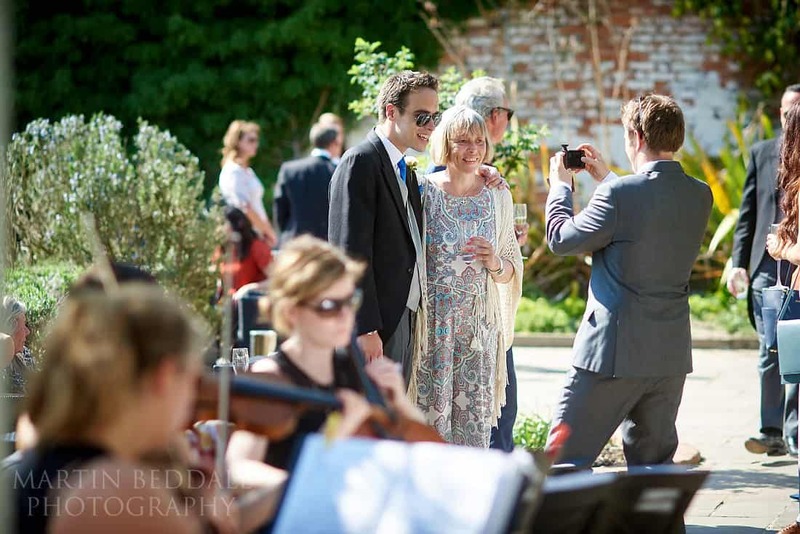 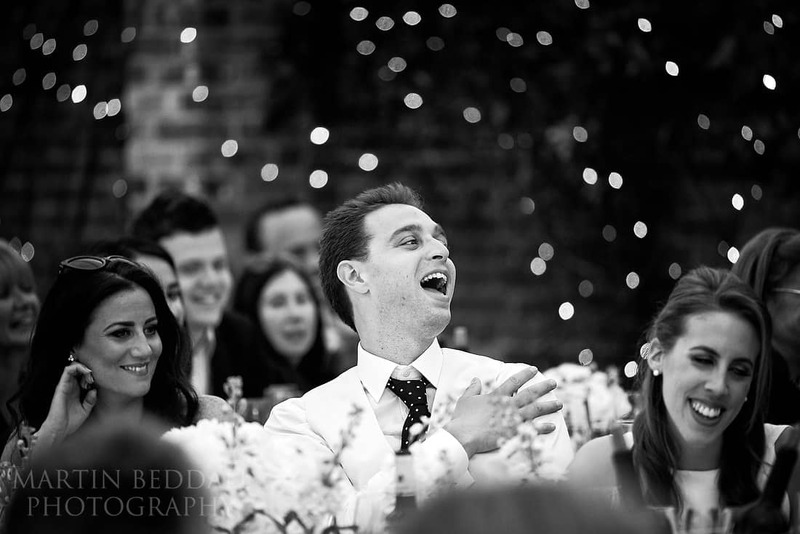 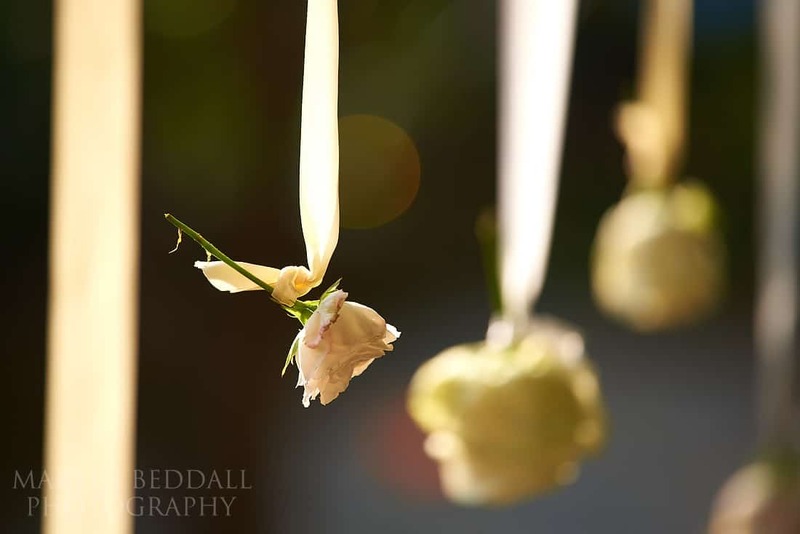 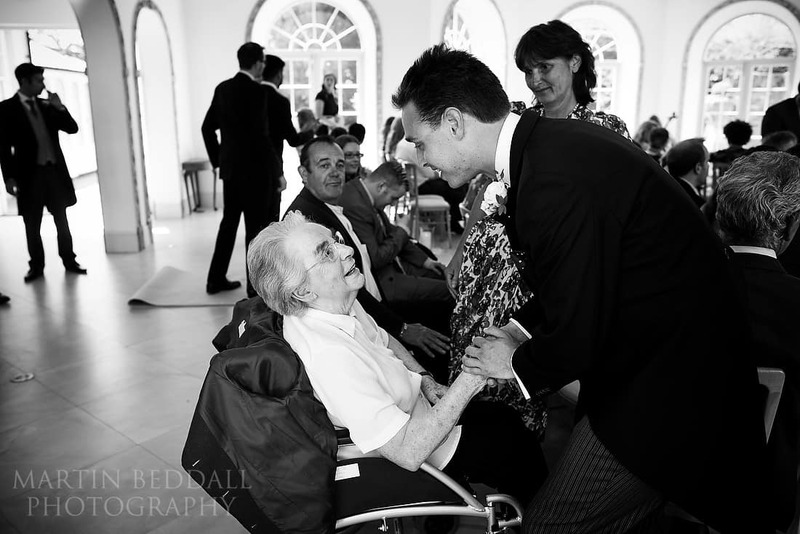 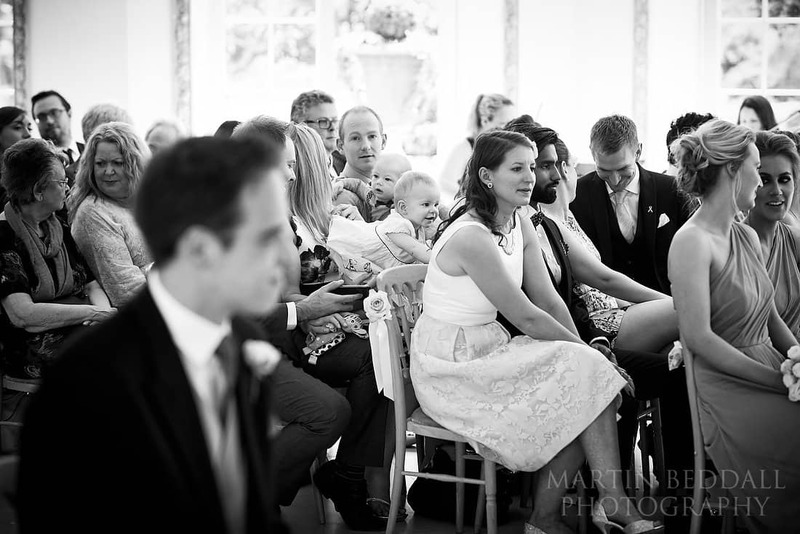 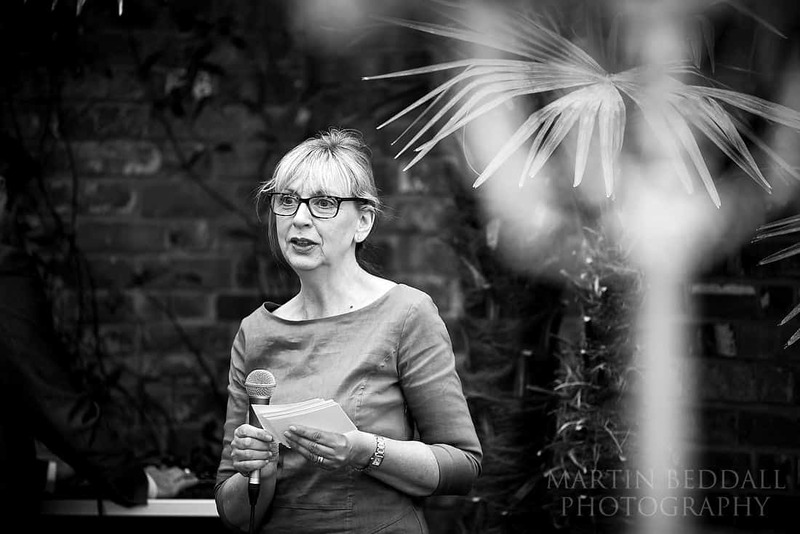 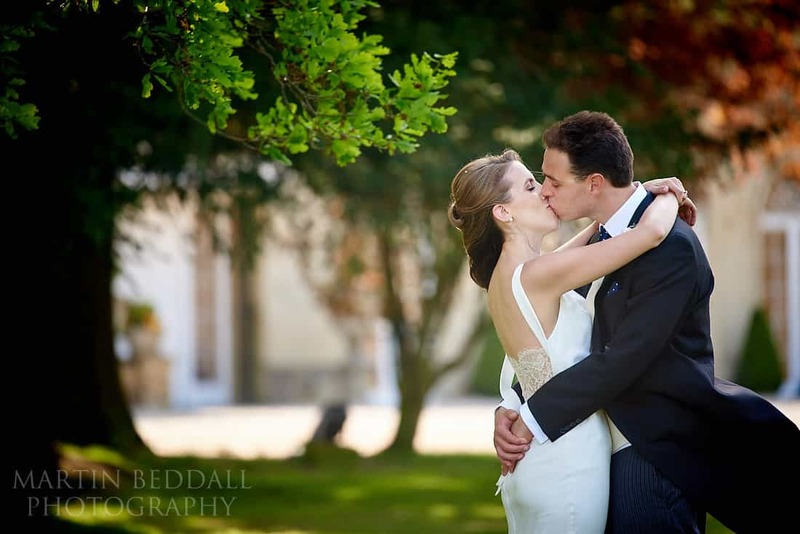 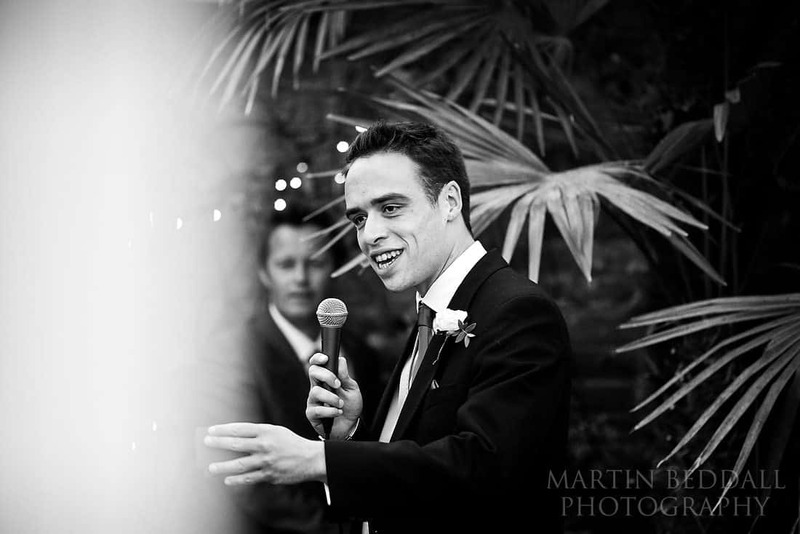 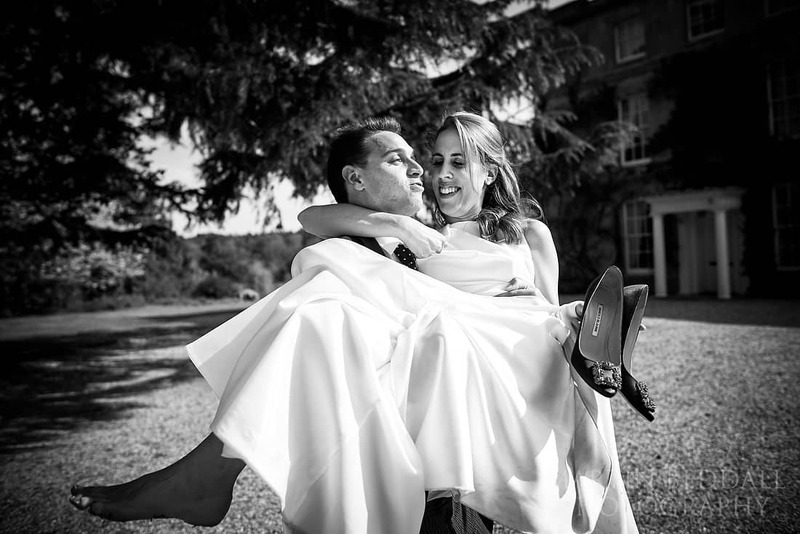 A relaxed wedding in the sunshine at Northbrook Park. 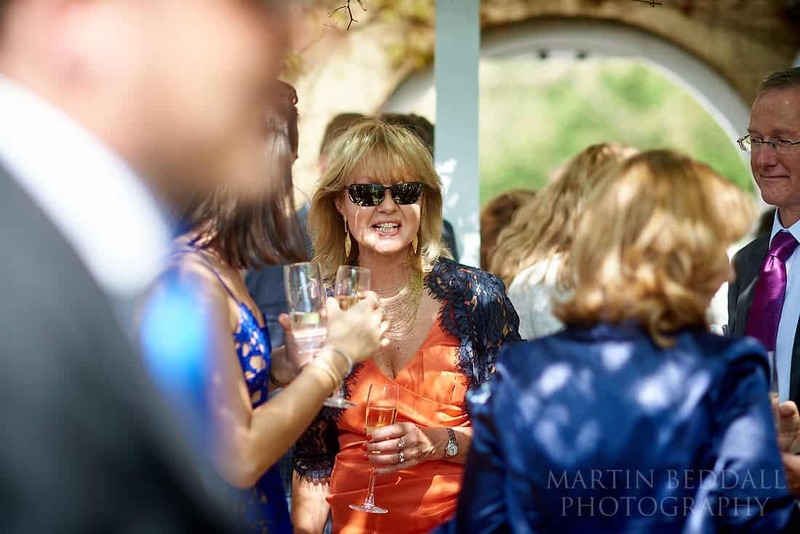 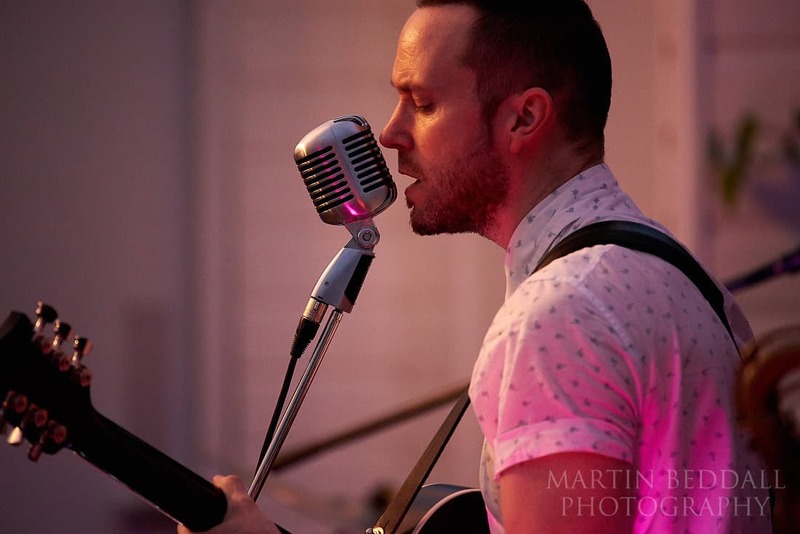 Here are a few images from the day….